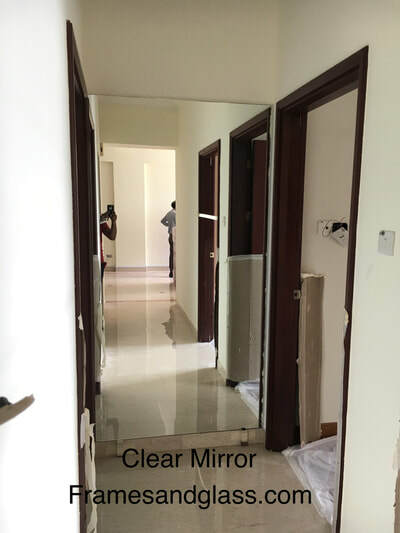 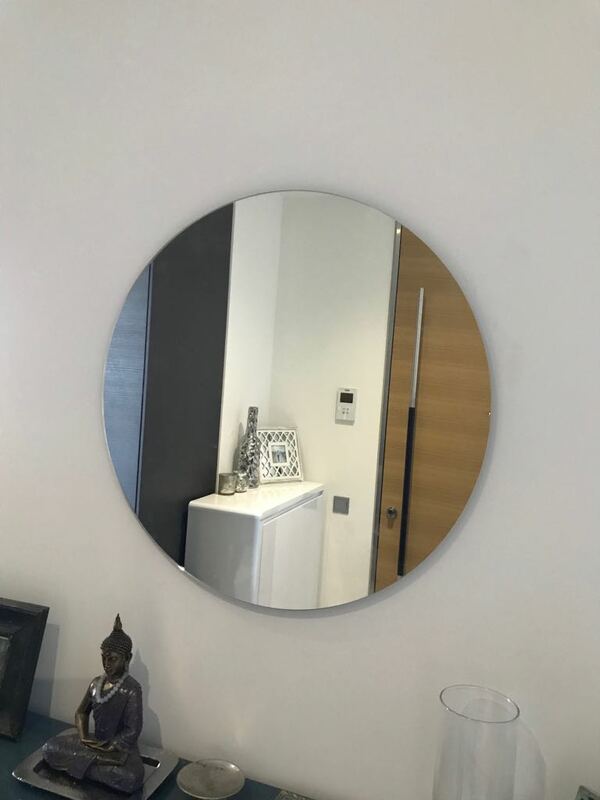 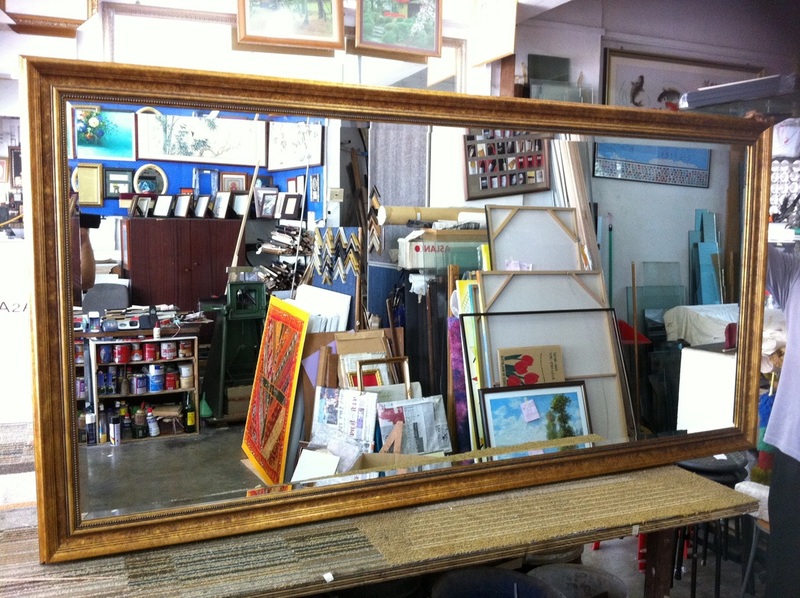 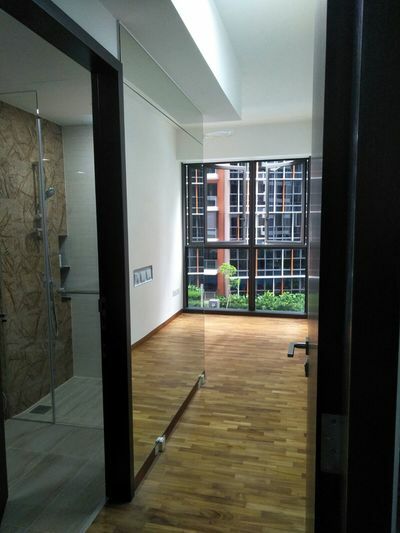 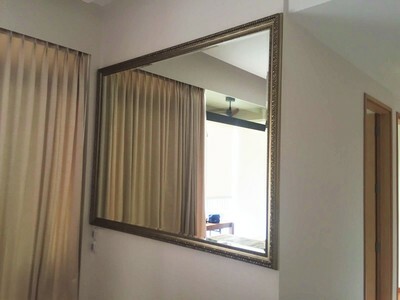 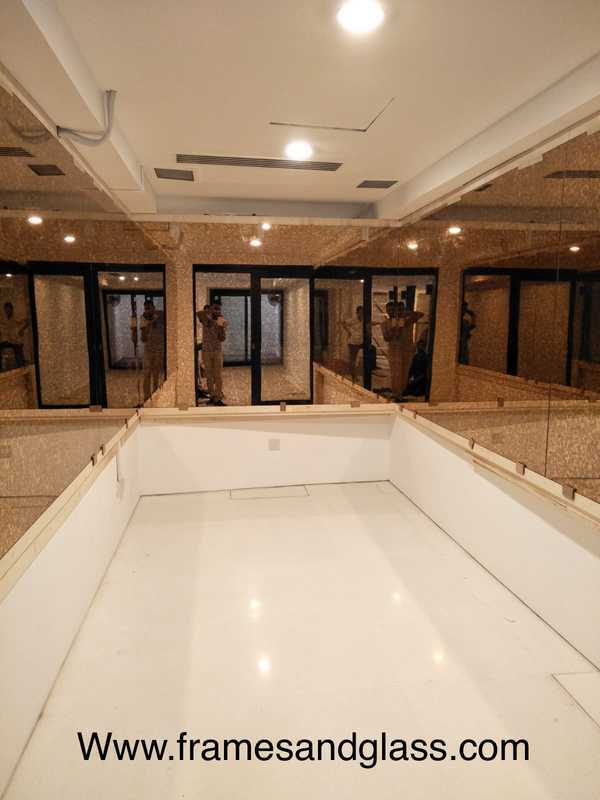 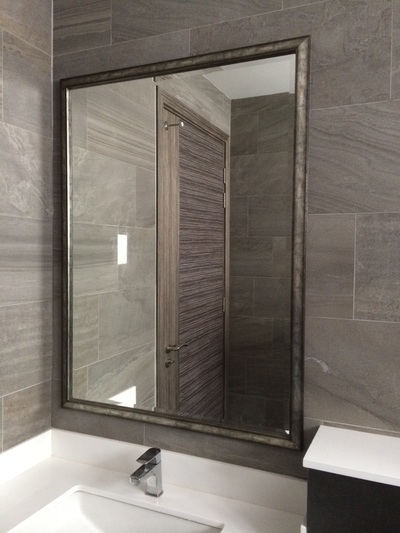 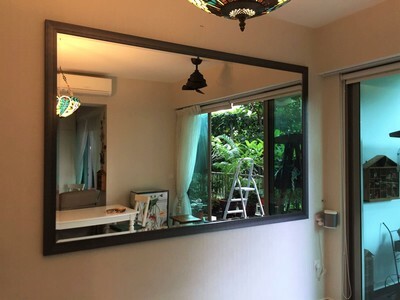 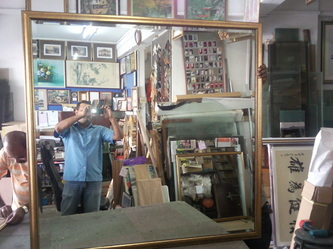 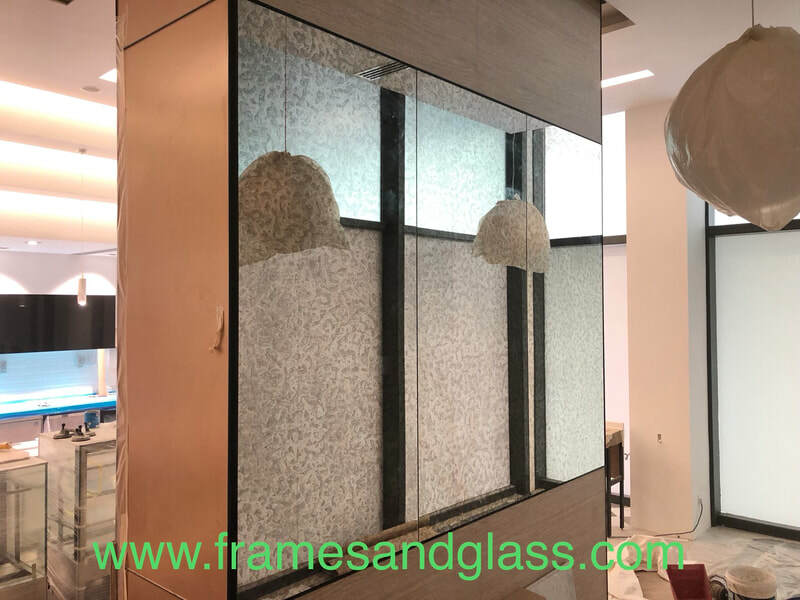 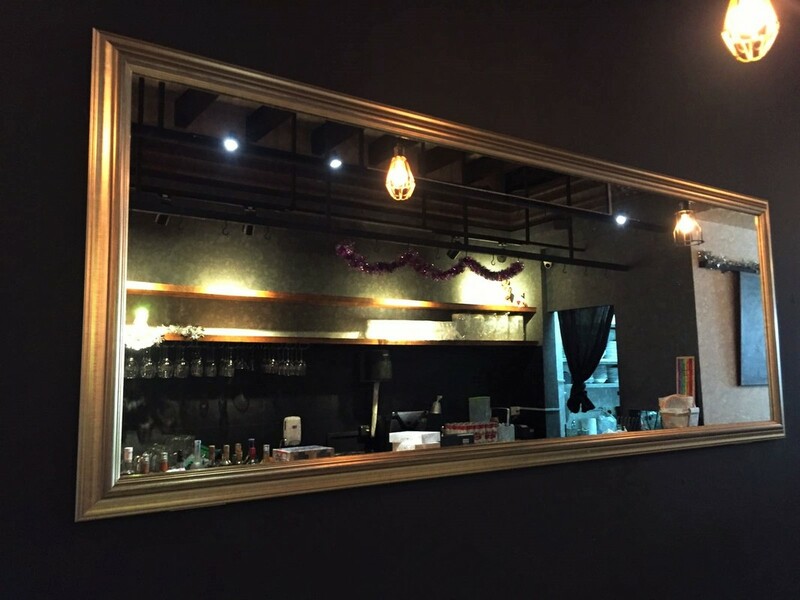 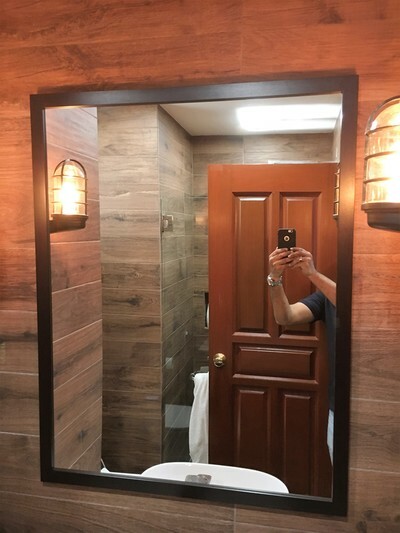 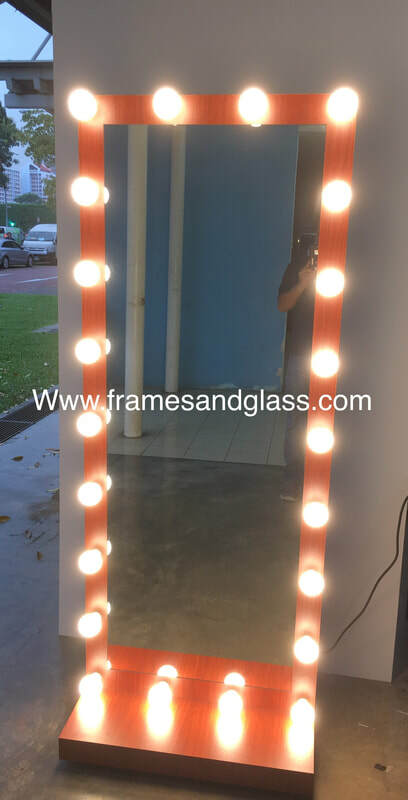 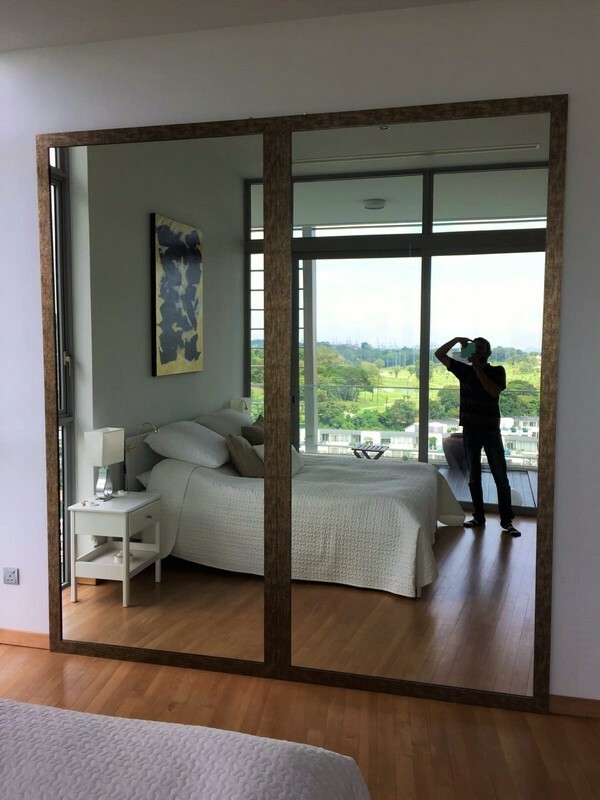 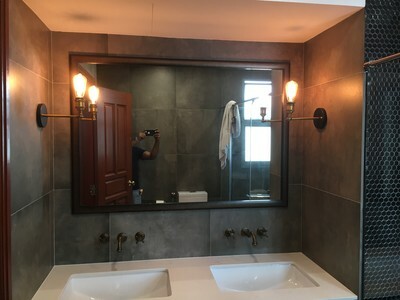 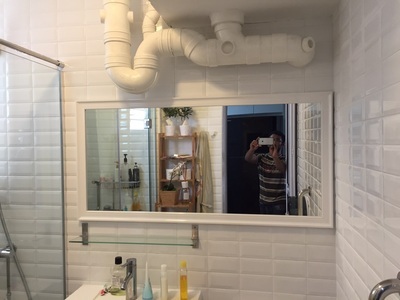 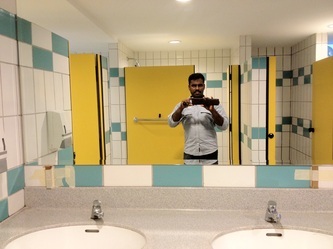 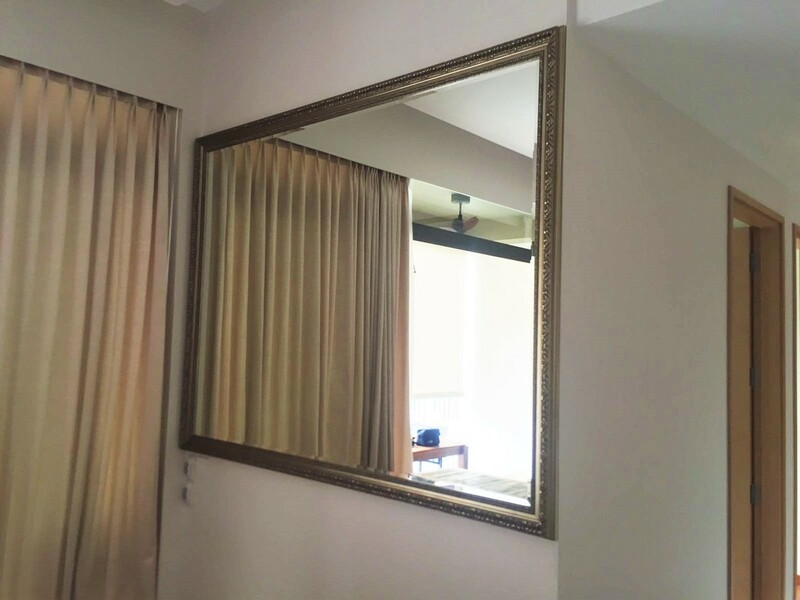 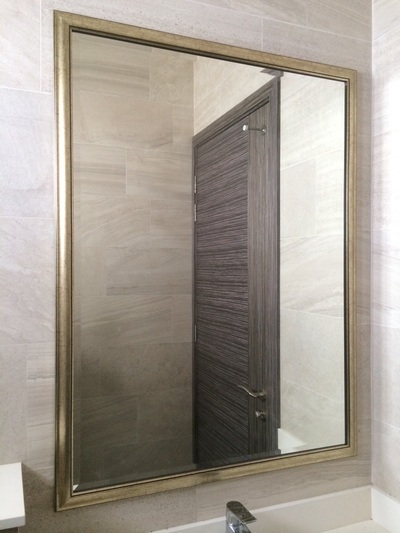 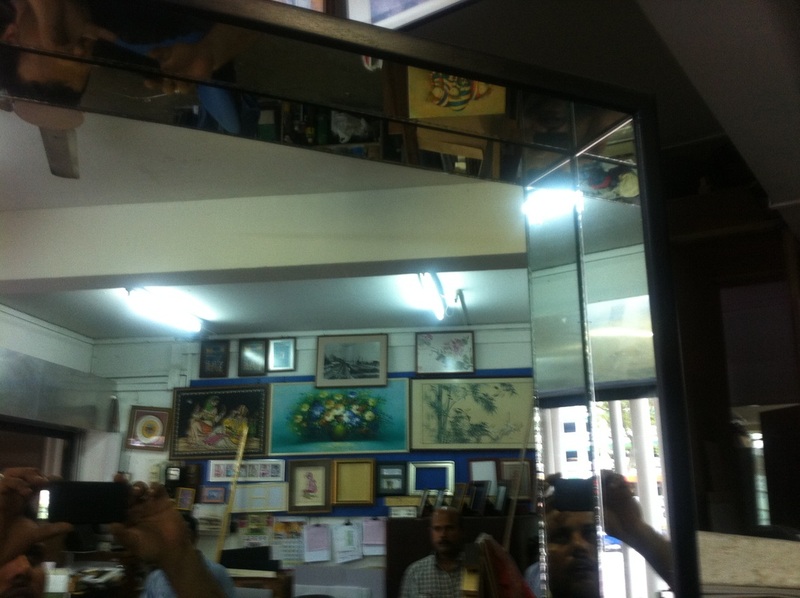 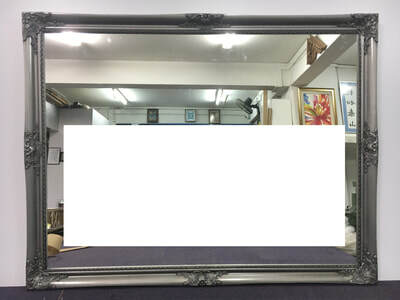 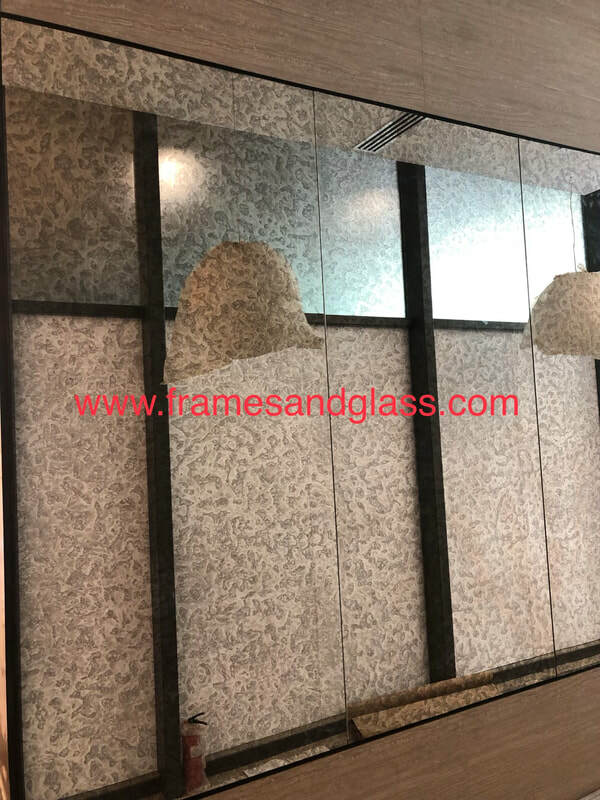 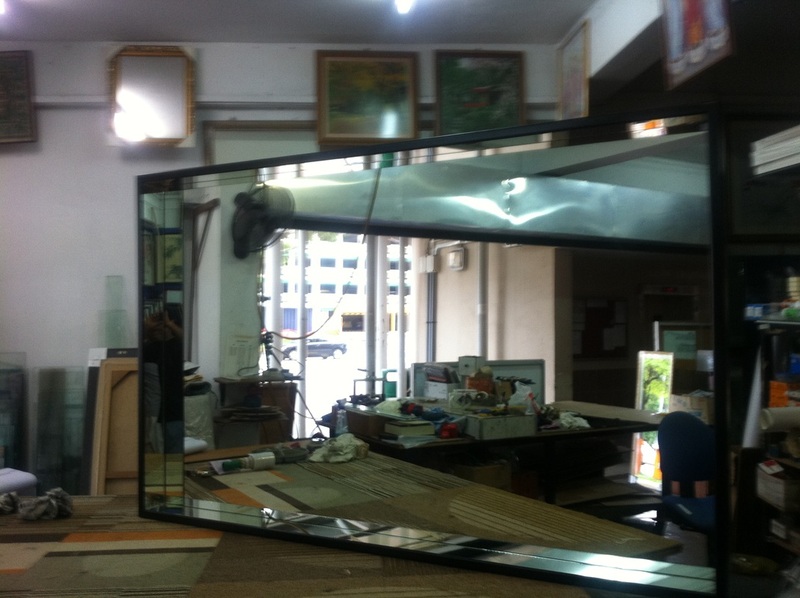 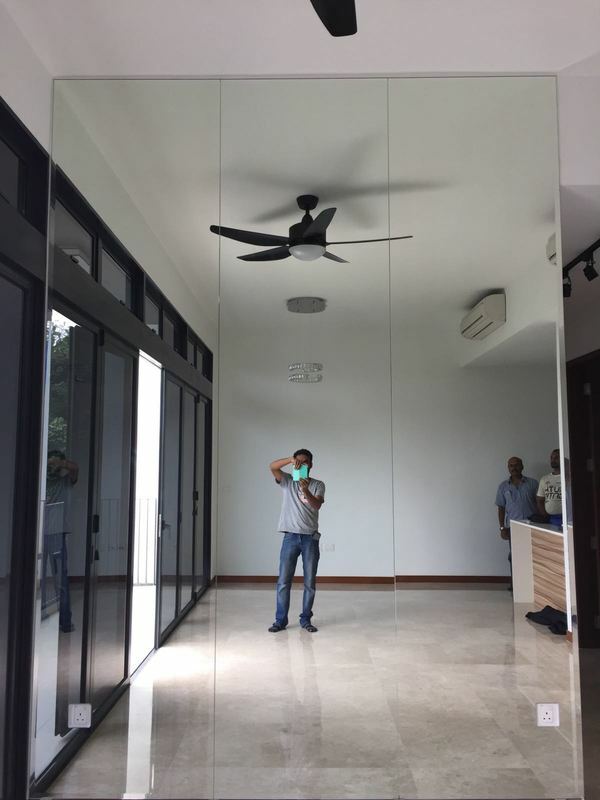 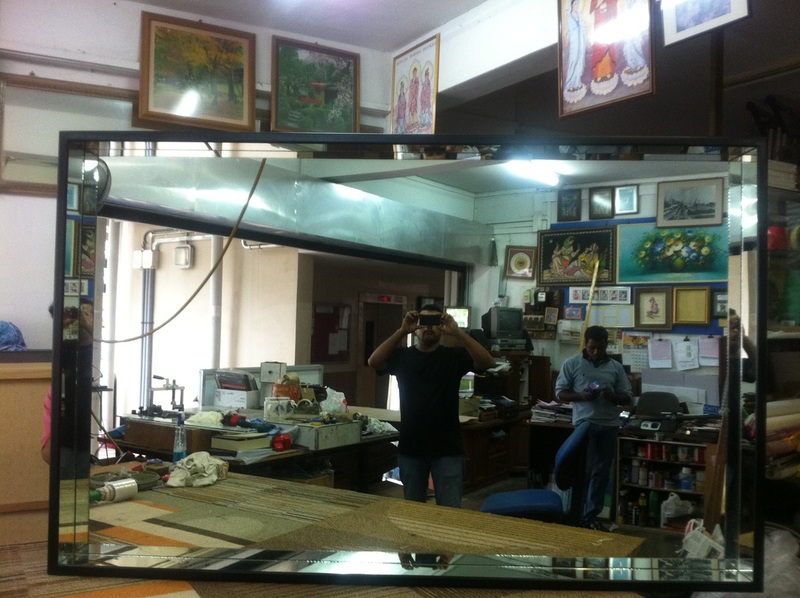 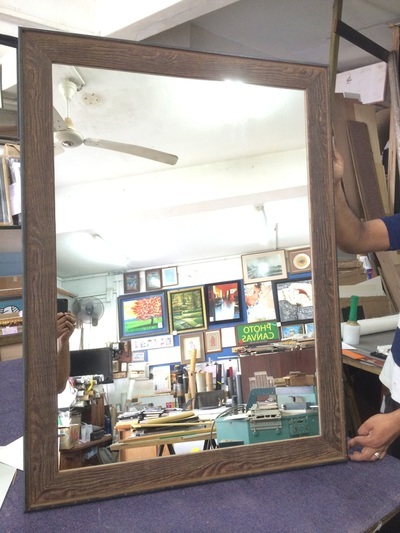 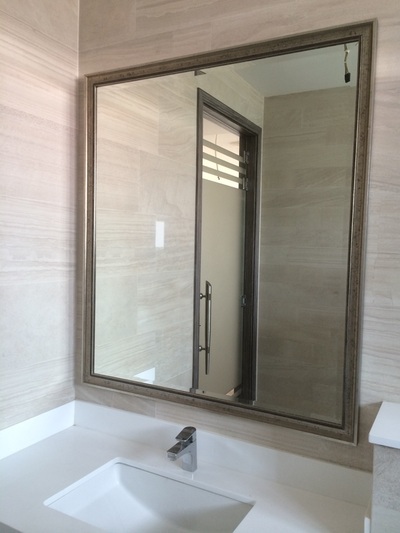 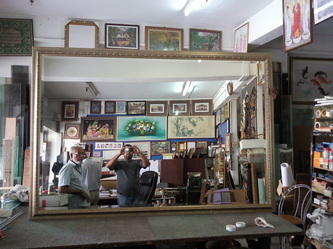 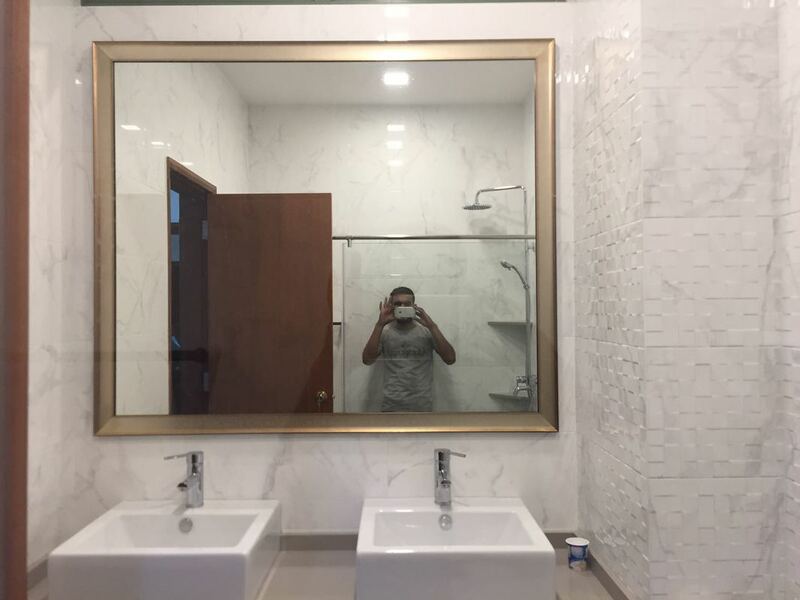 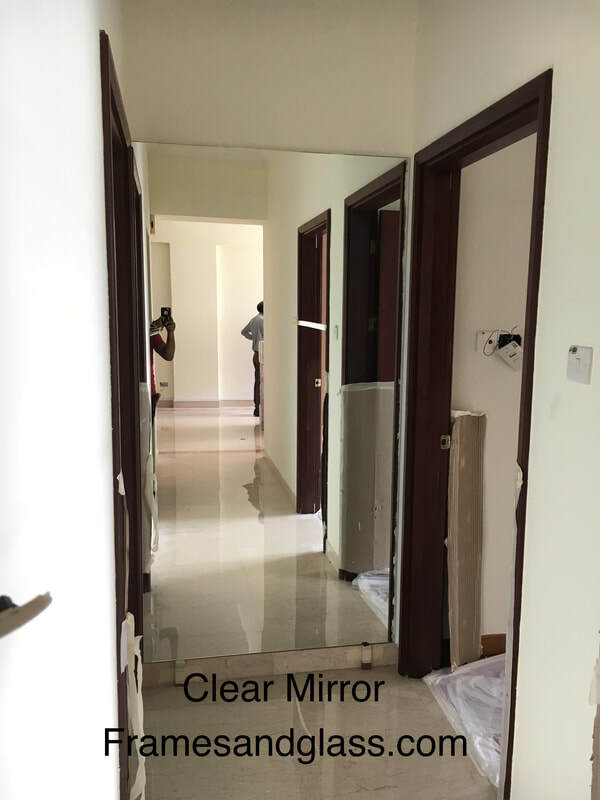 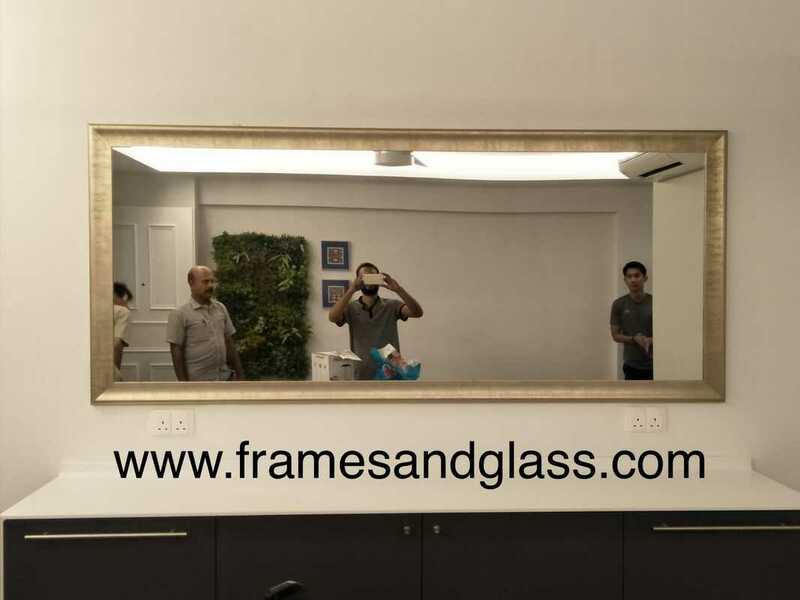 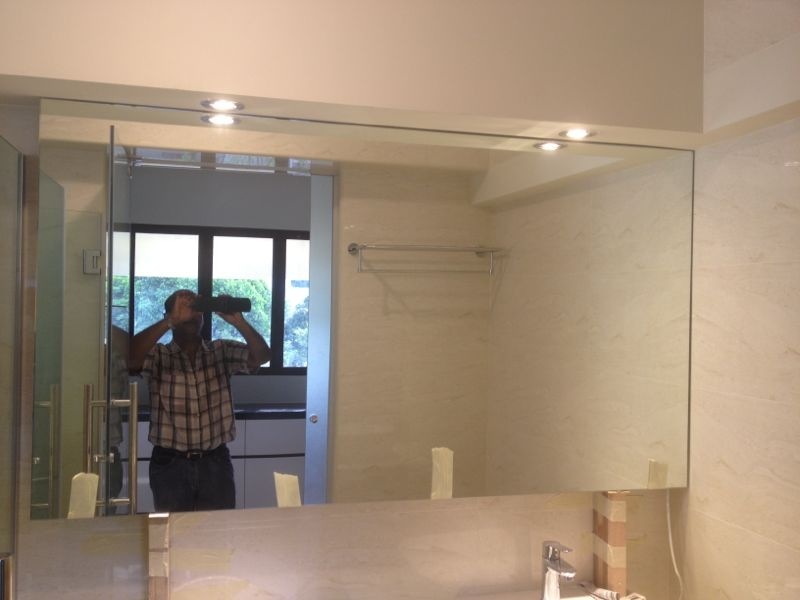 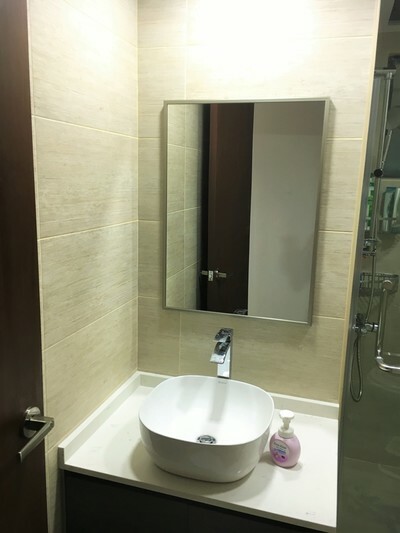 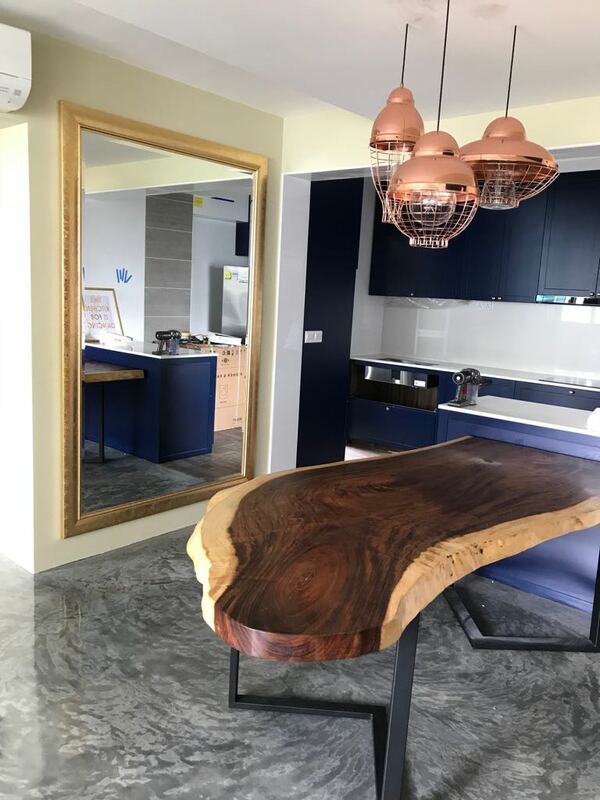 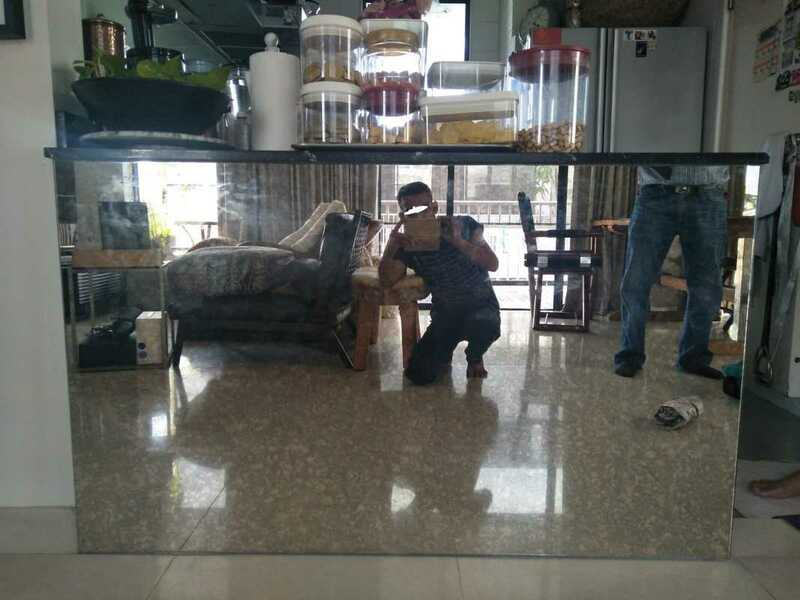 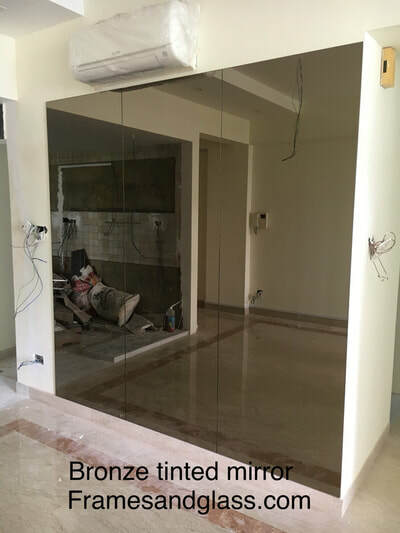 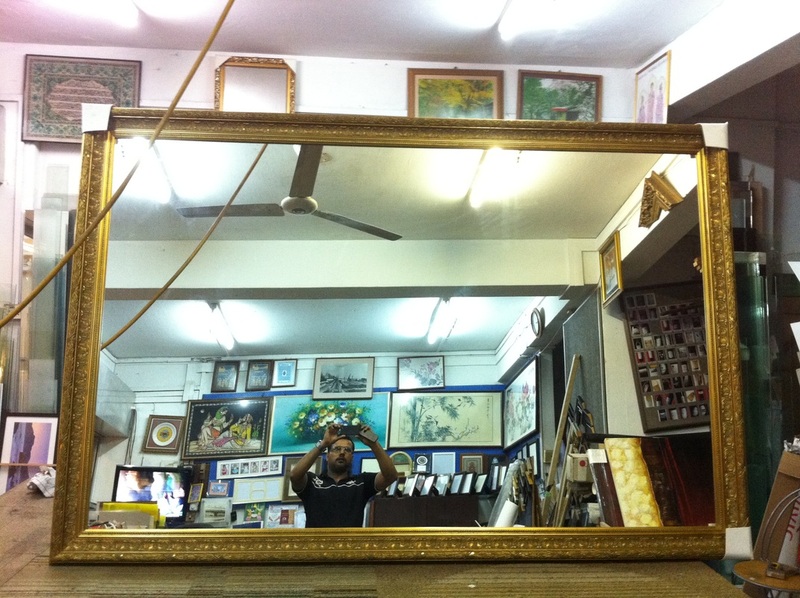 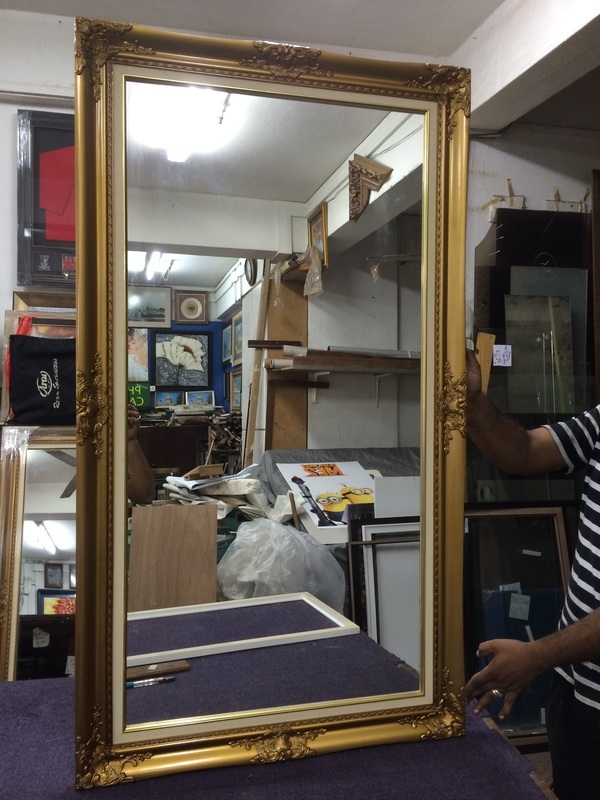 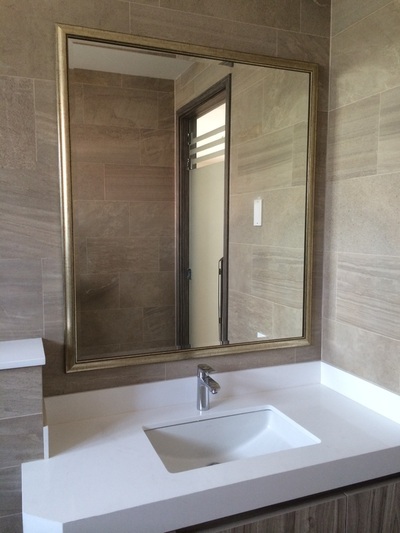 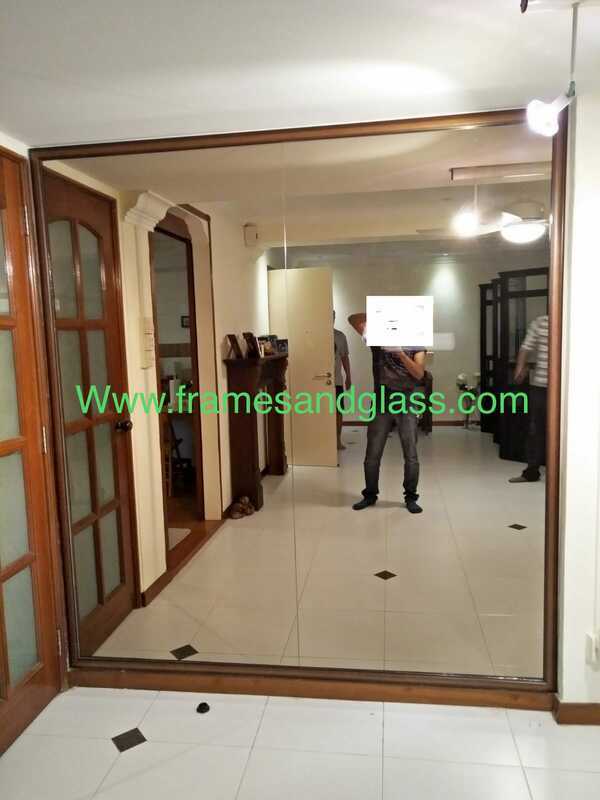 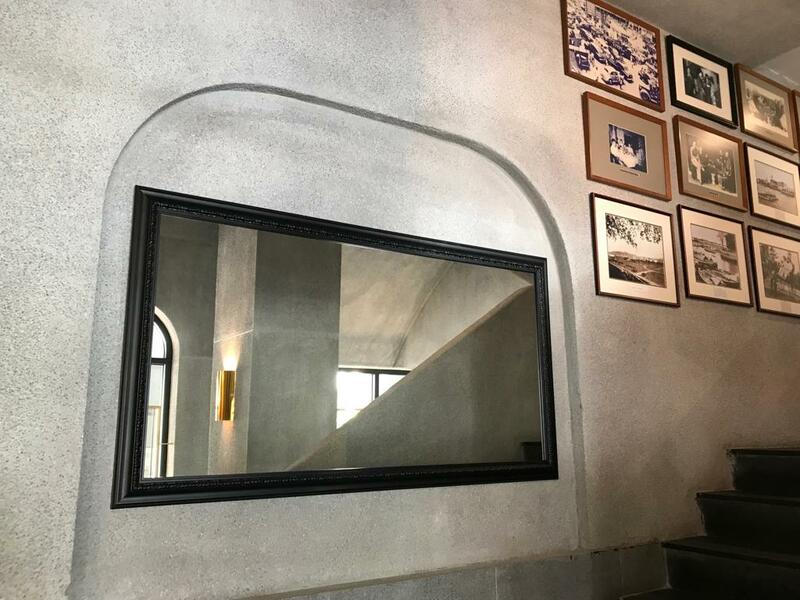 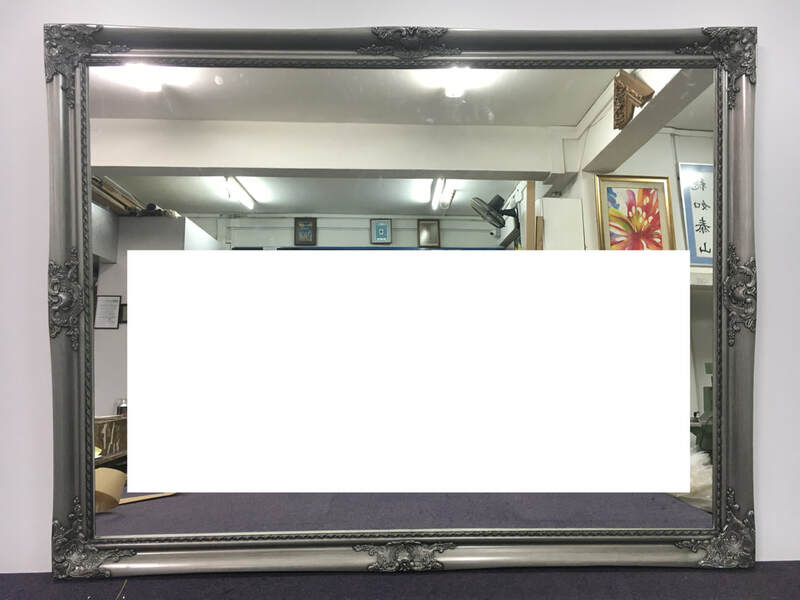 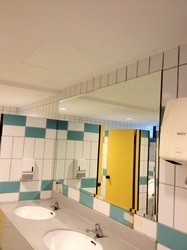 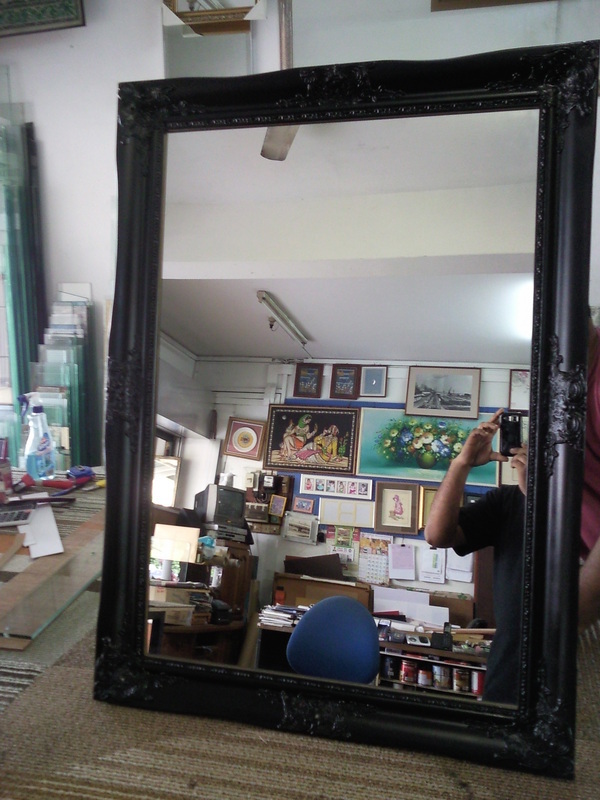 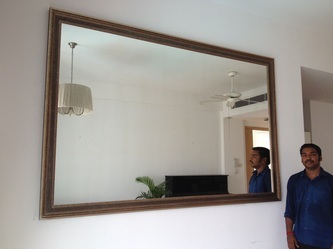 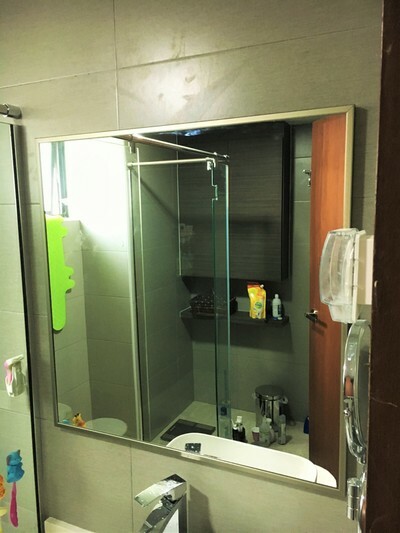 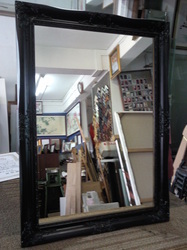 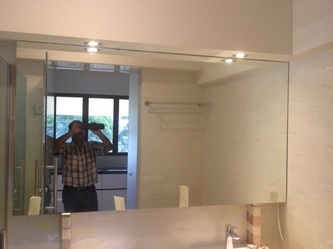 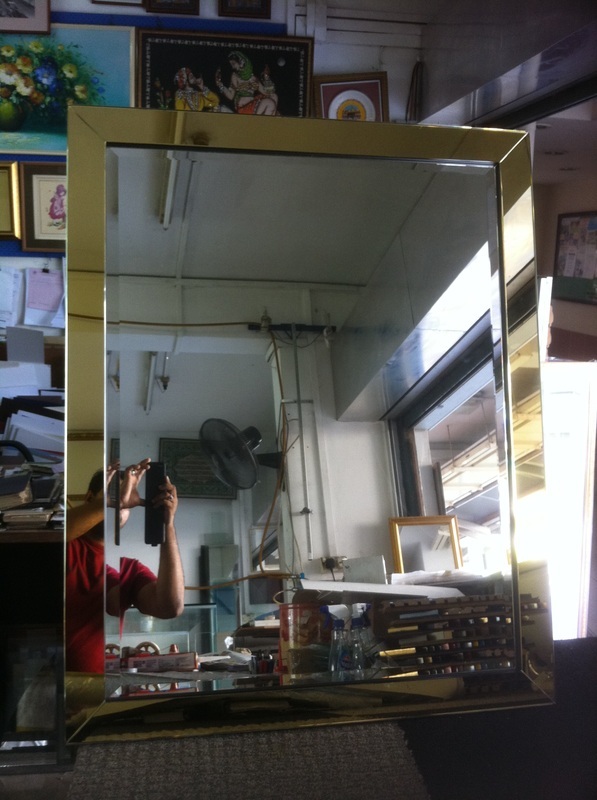 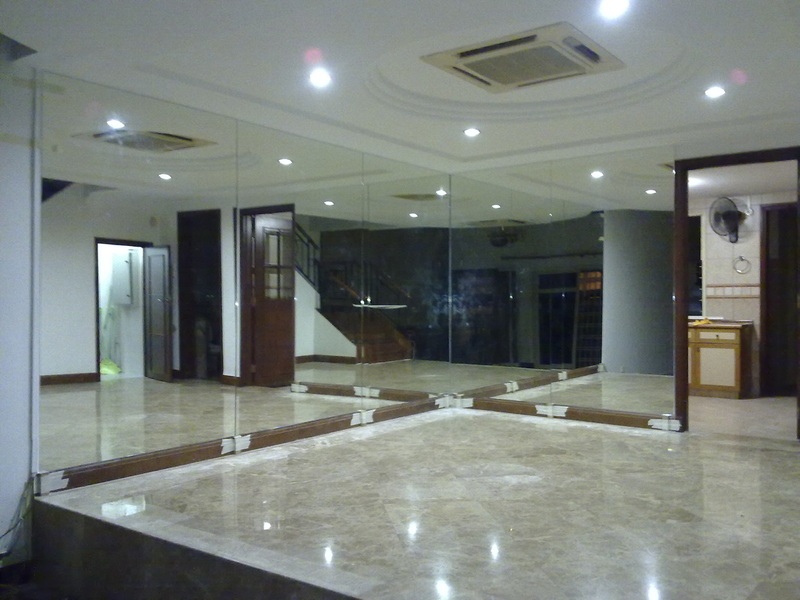 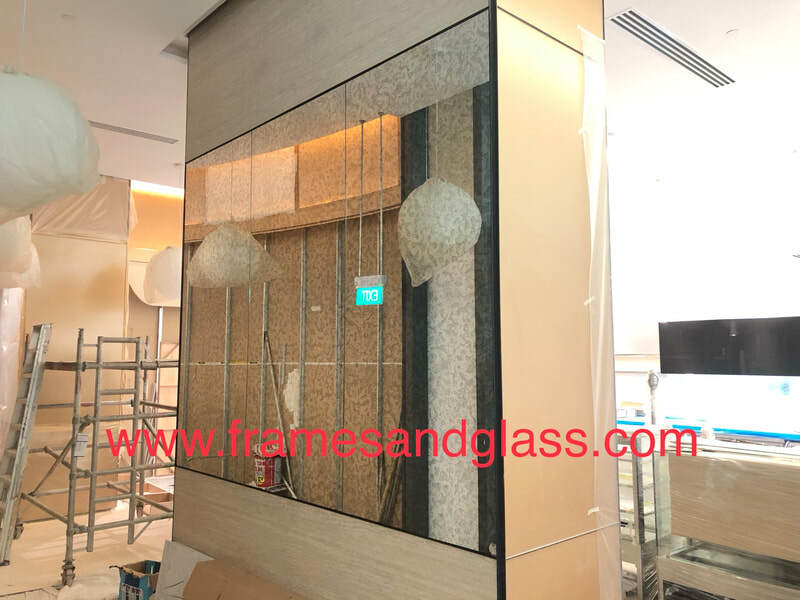 Mirror and Mirrors Maker In Singapore and bathroom mirror - Framer and Glass Mirror Maker in Singapore Call Us Now at 62982281 or 94891575 for a professional, no obligation-quote now! 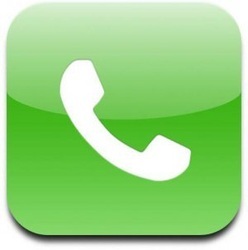 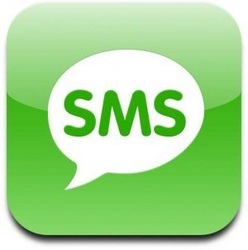 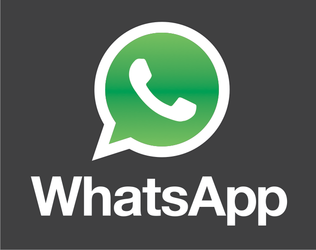 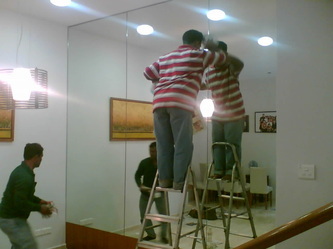 Do provide us with these basic information when asking for quotation. 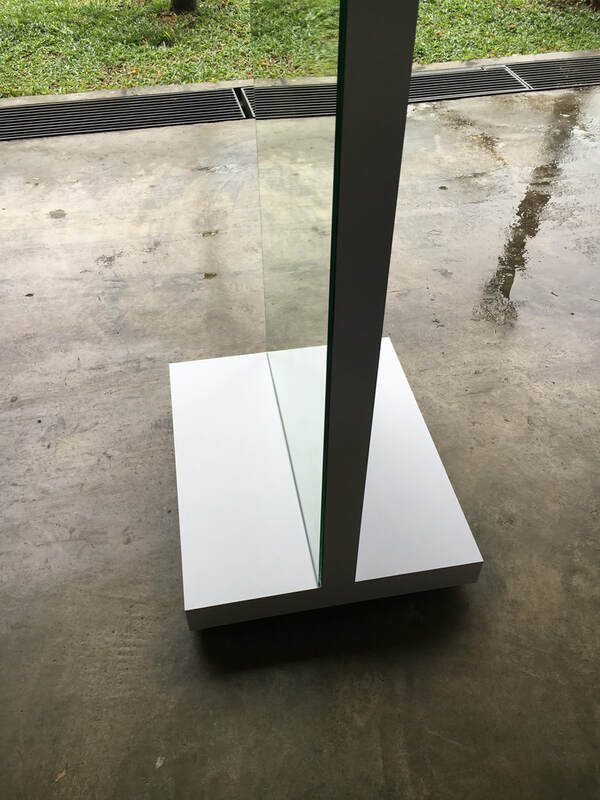 Normal edge or beveled edge? We specialized in all types of high-quality wall mirror to be used in livings room, gyms room, yoga studios and dance centers. 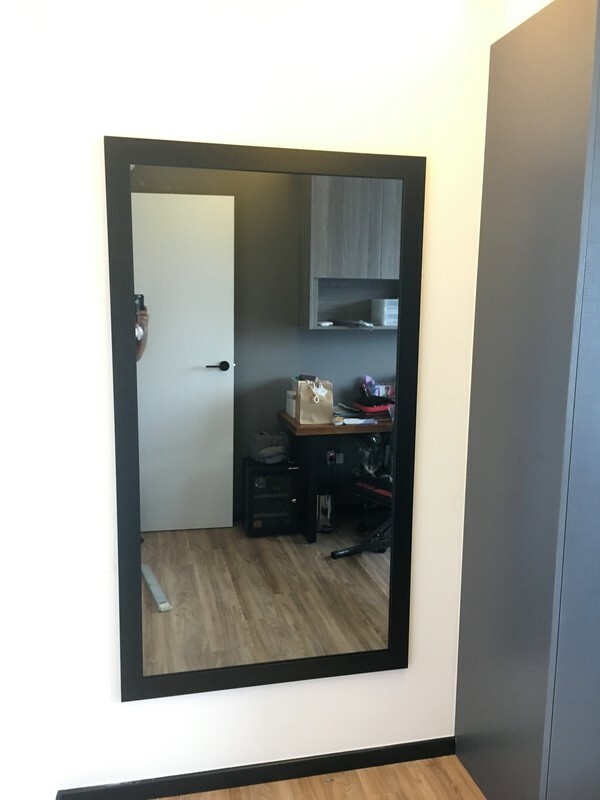 We custom any size. You can find all size of wall mirrors in different widths, shapes and edge finishing styles like beveled edge, flat polished edge etc. 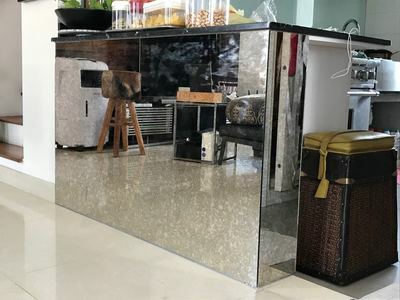 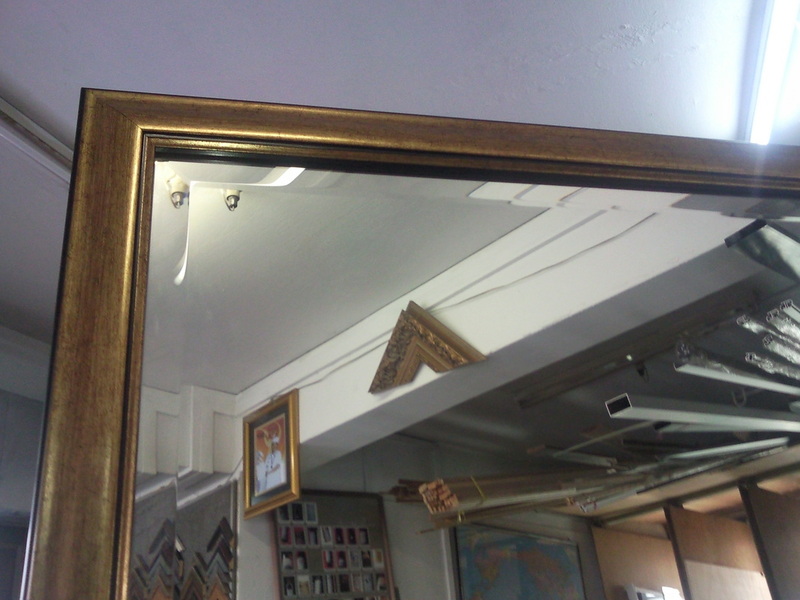 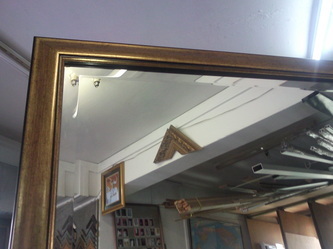 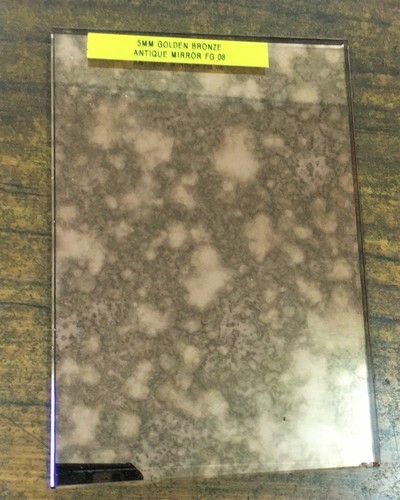 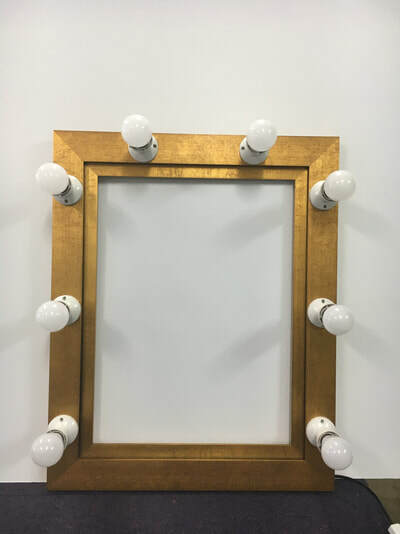 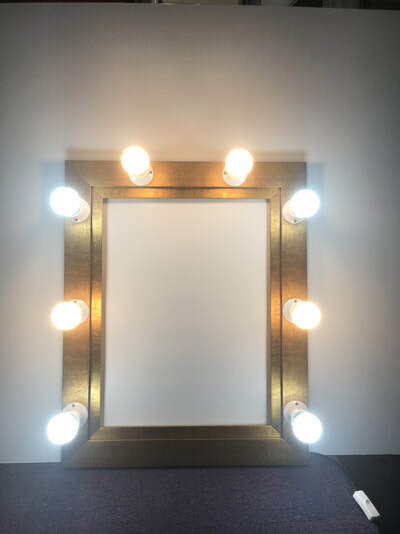 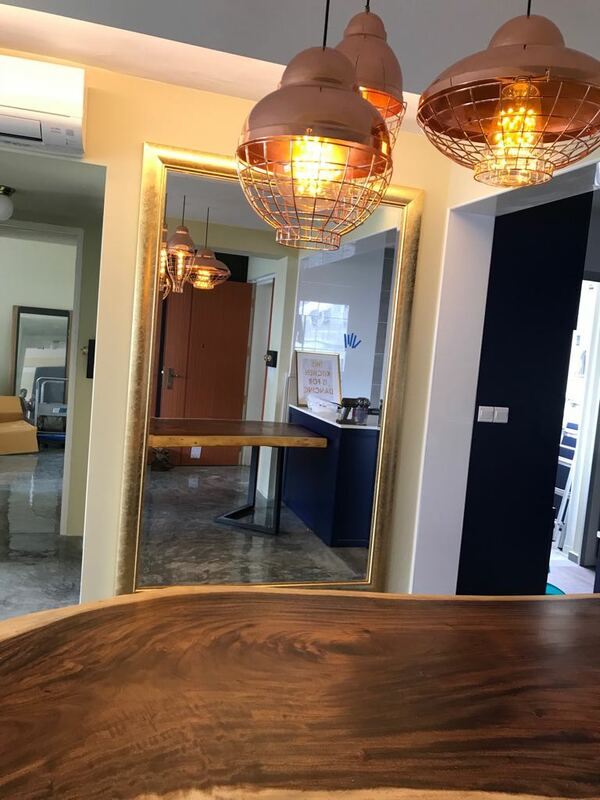 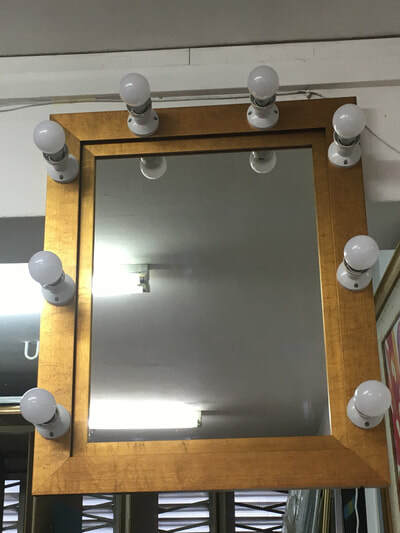 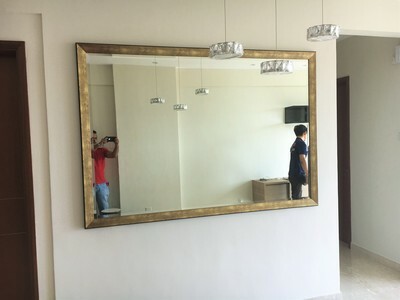 Mirror type: Clear Mirror, Extra clear Mirror, Bronze Mirror, Grey mirror, Black Mirror, Golden Bronze Mirror, Gold Mirror, Pink Mirror, Blue Mirror, Antique Mirror etc. 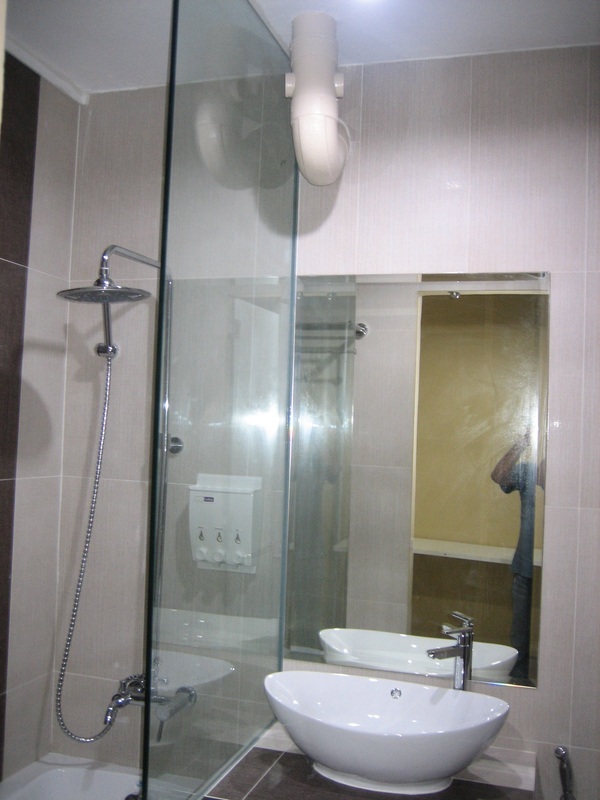 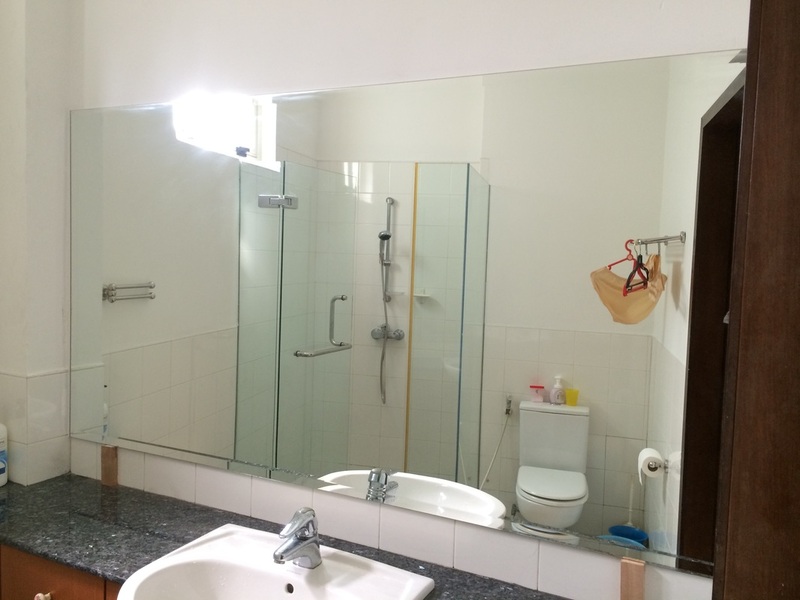 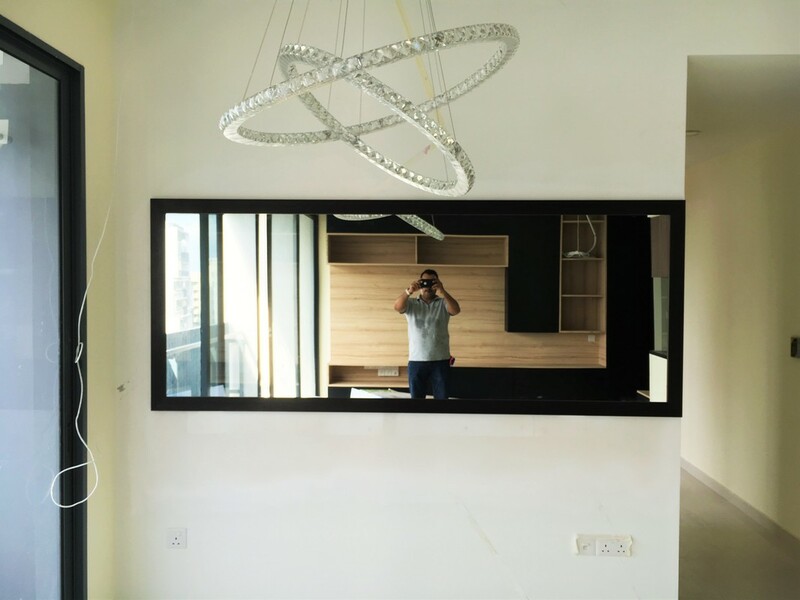 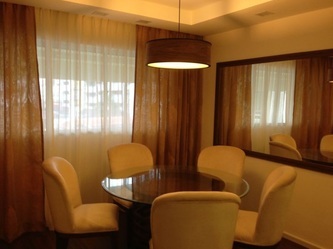 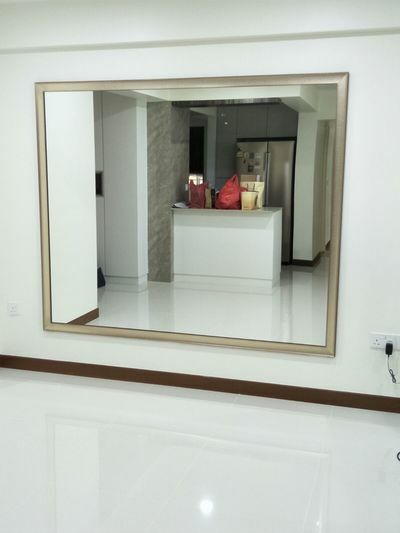 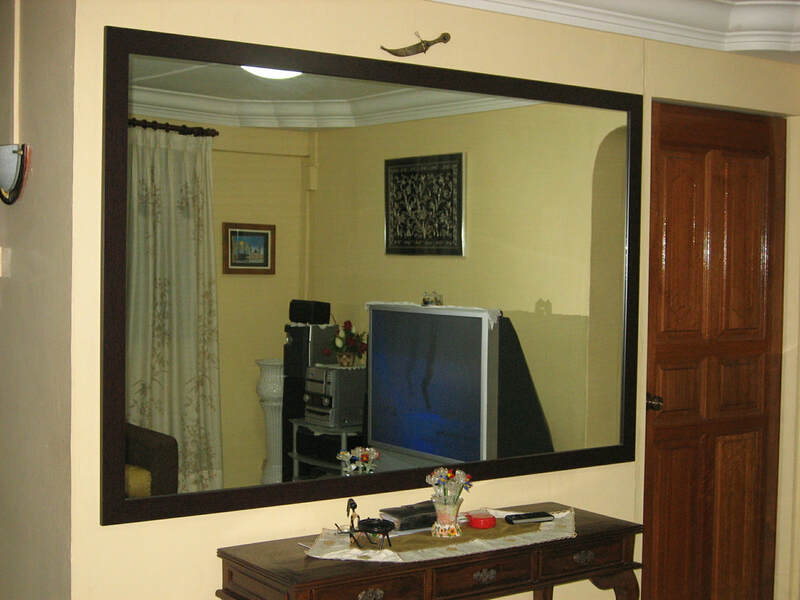 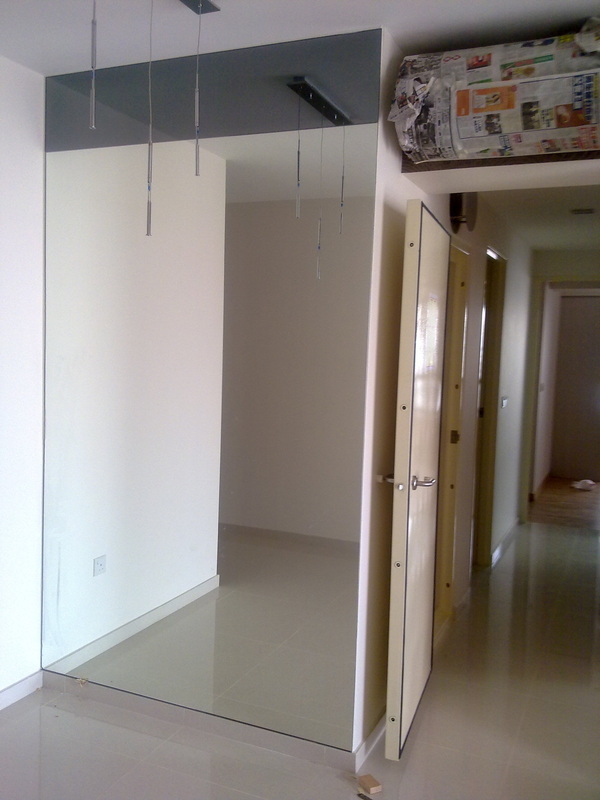 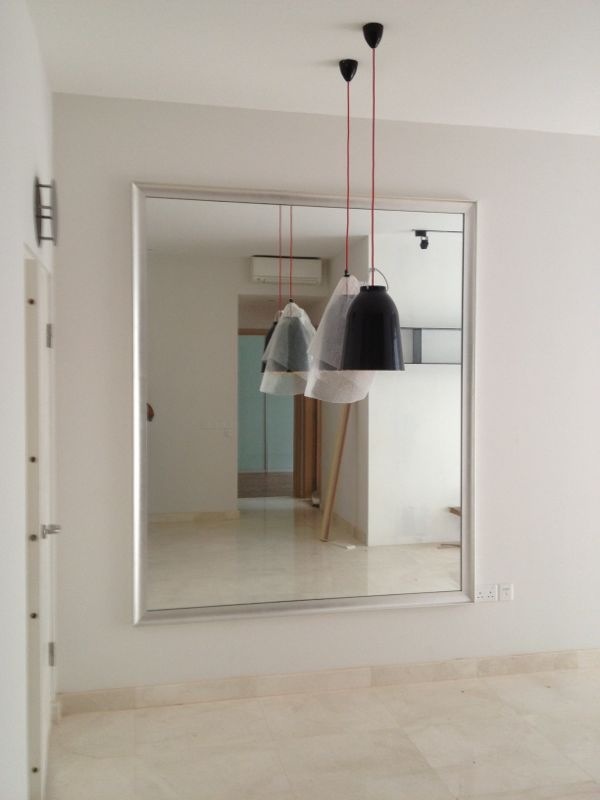 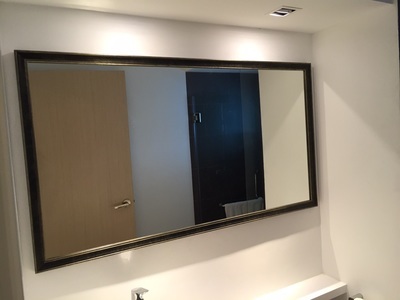 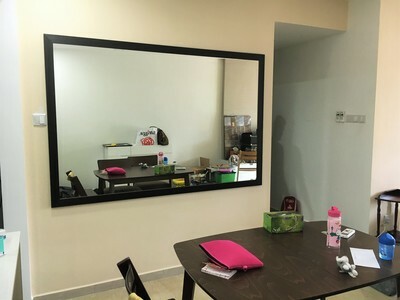 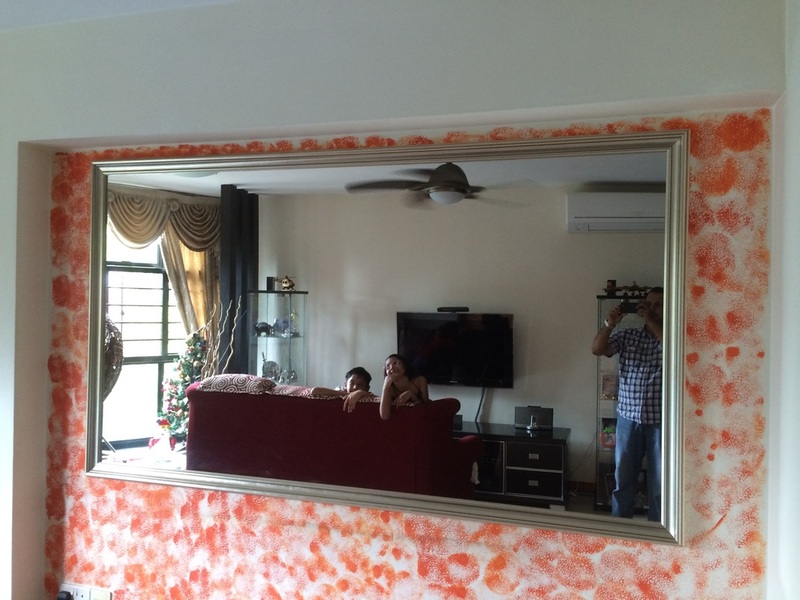 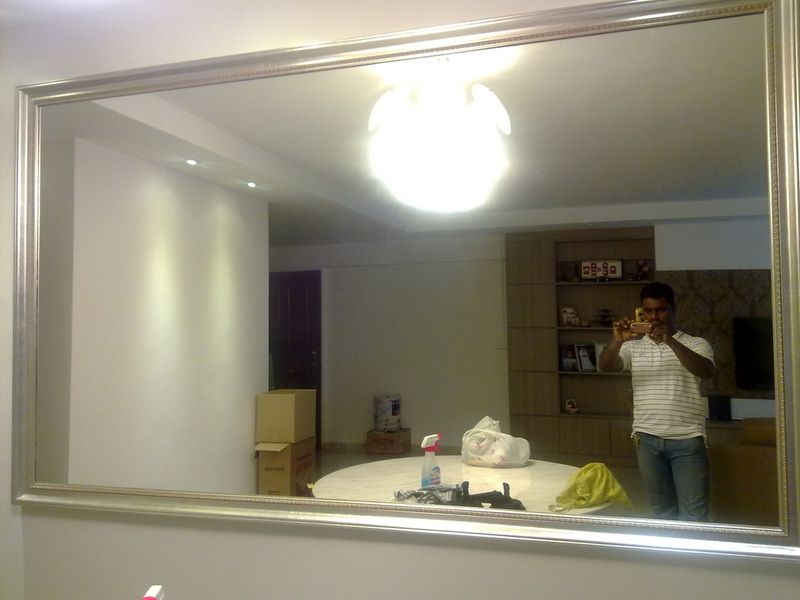 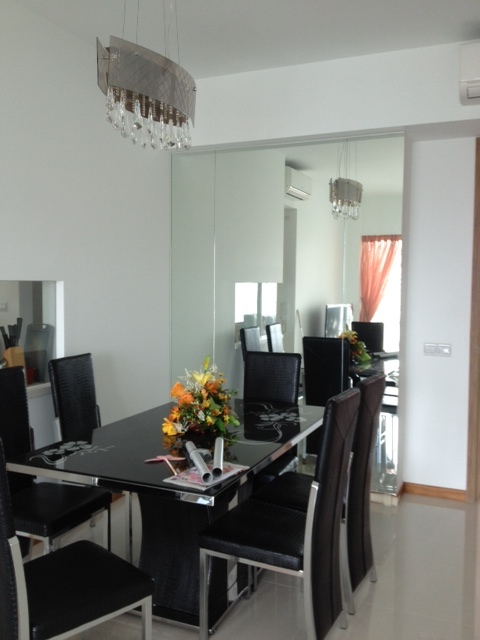 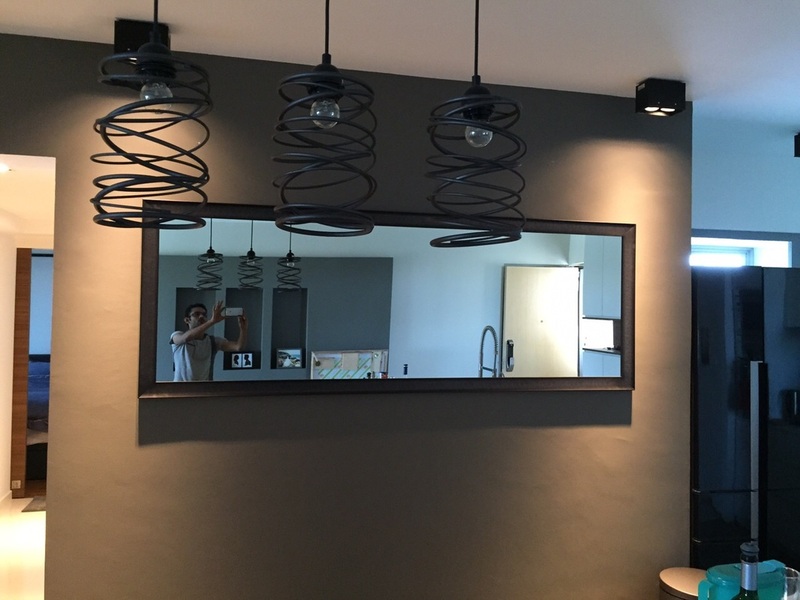 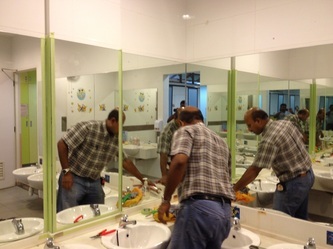 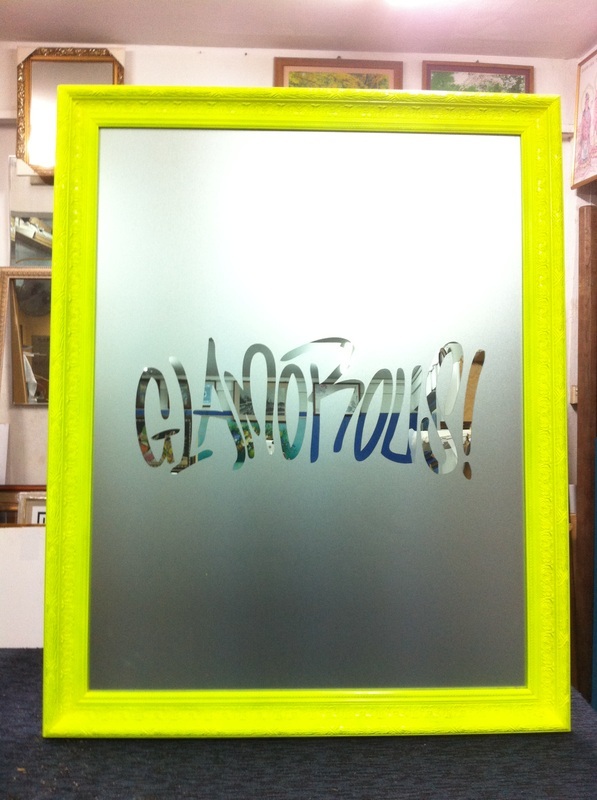 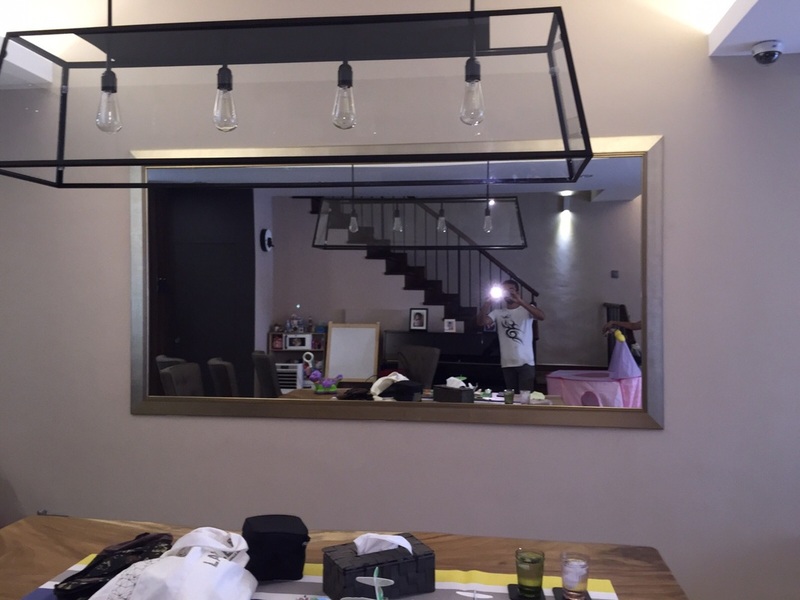 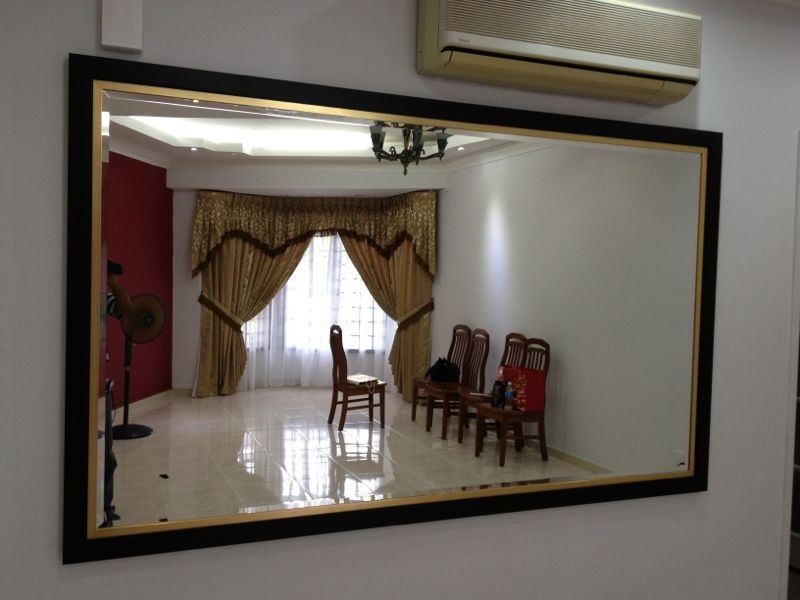 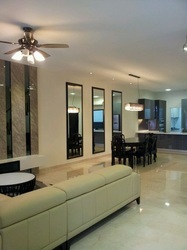 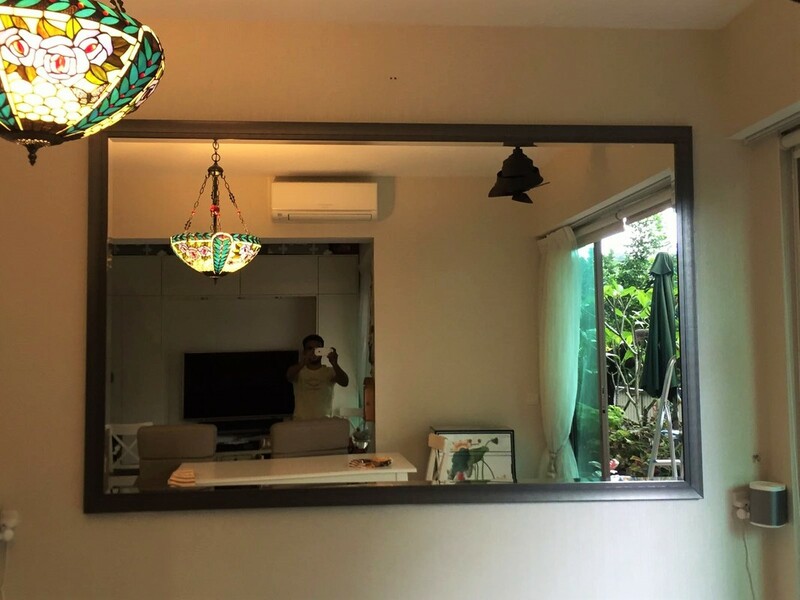 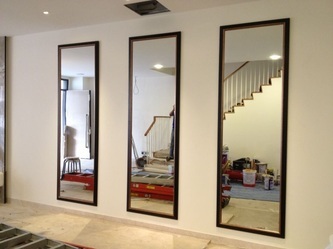 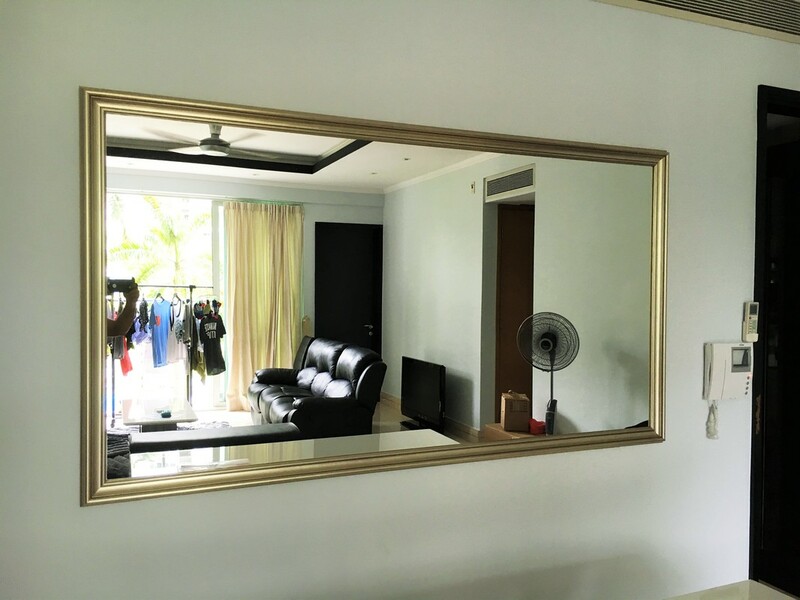 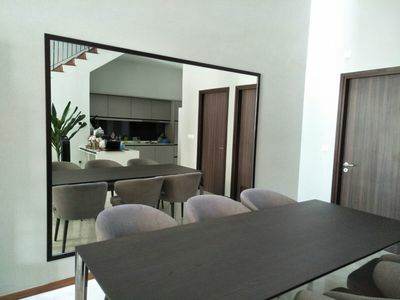 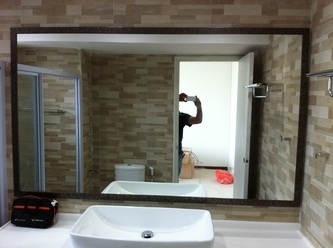 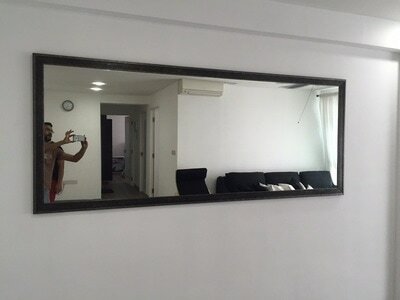 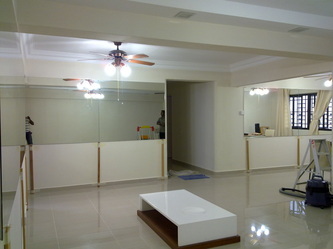 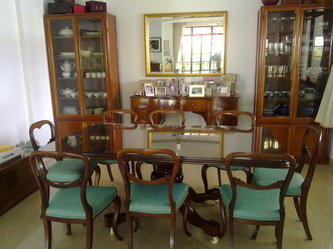 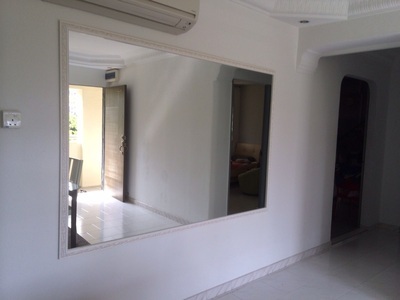 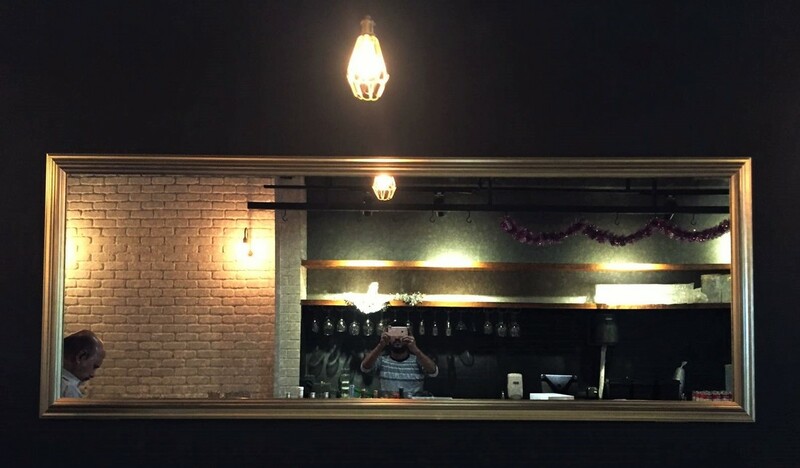 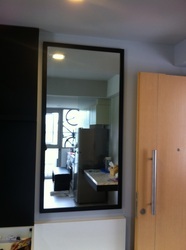 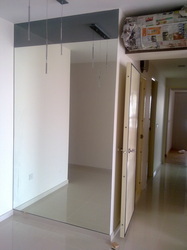 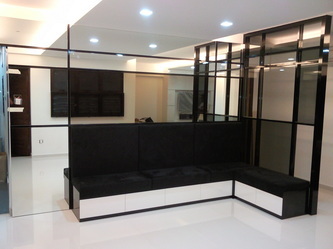 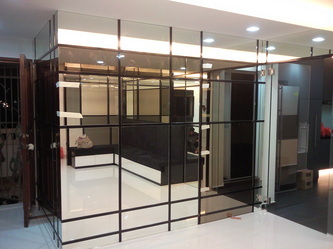 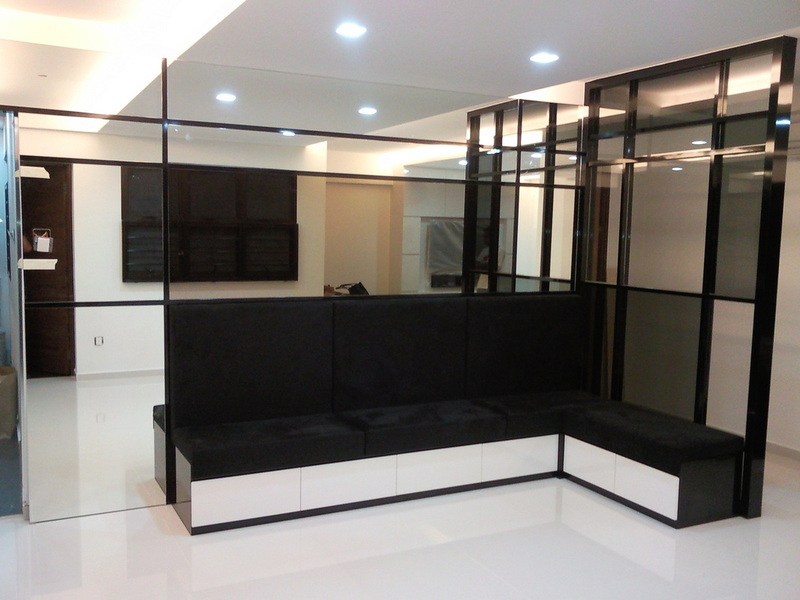 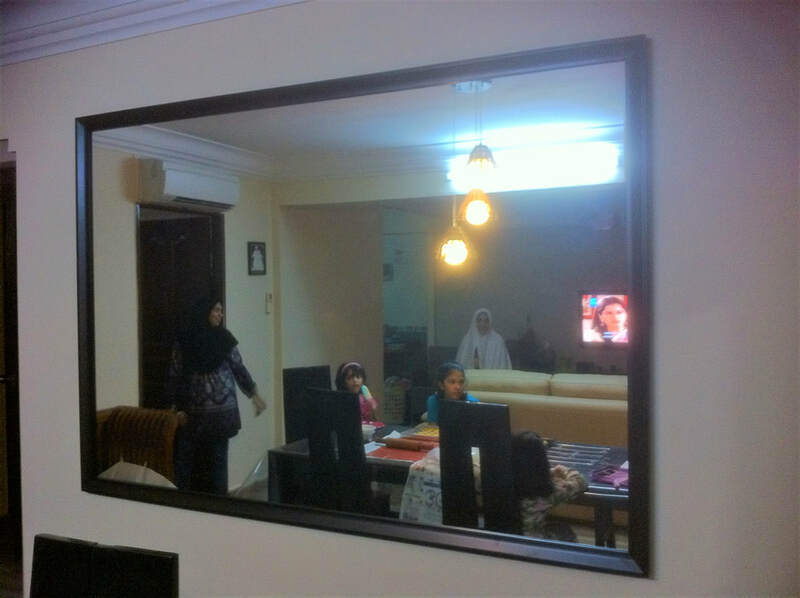 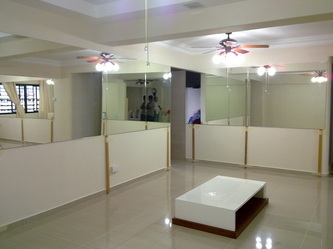 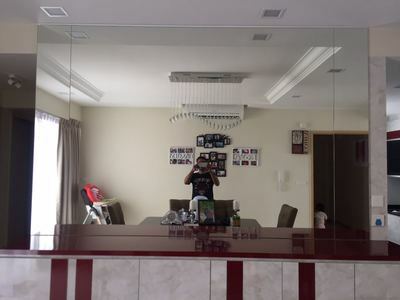 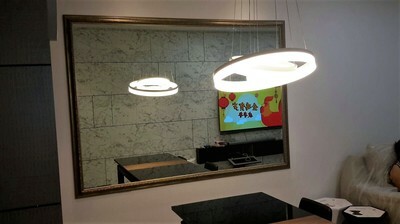 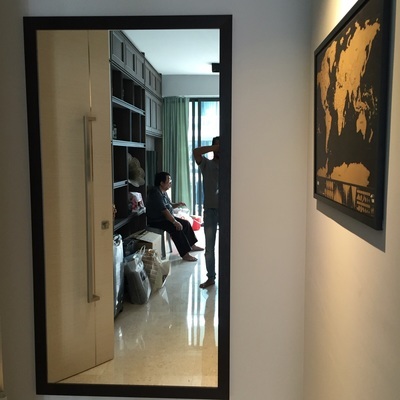 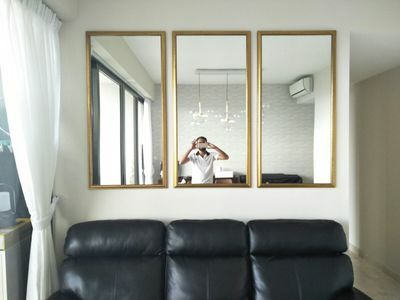 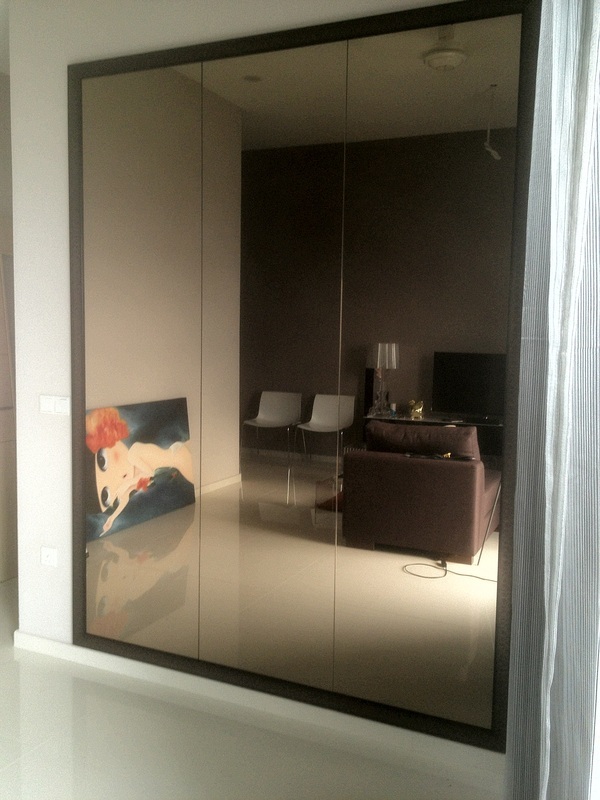 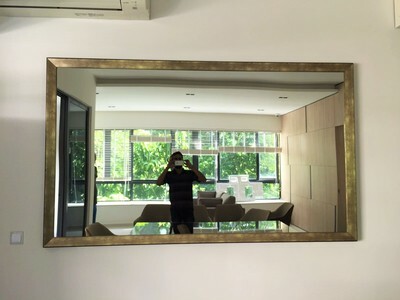 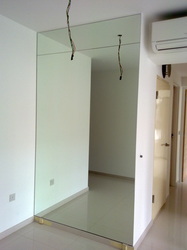 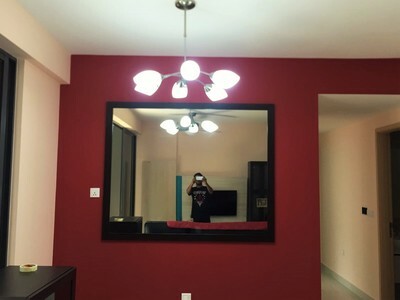 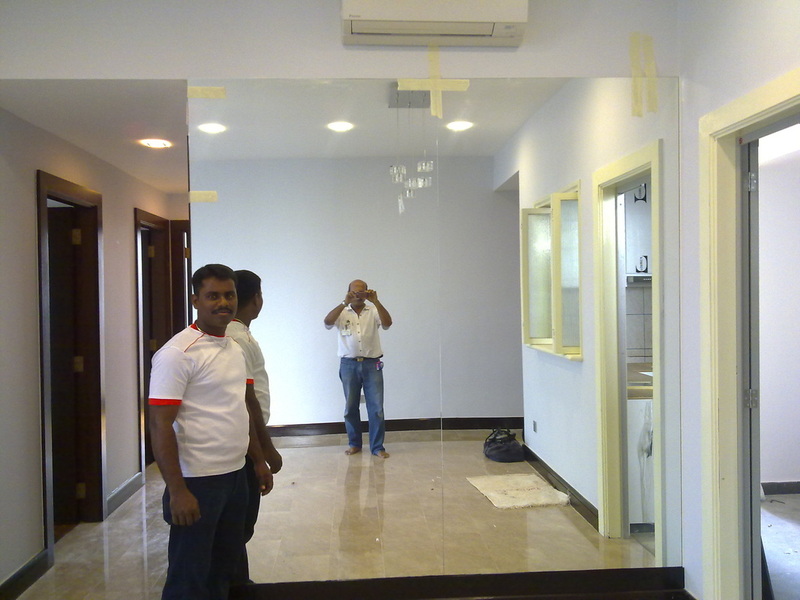 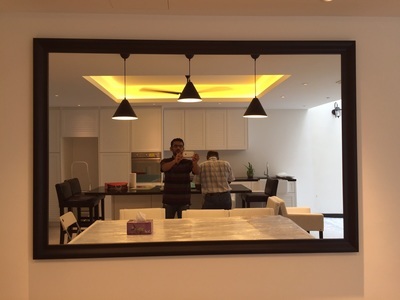 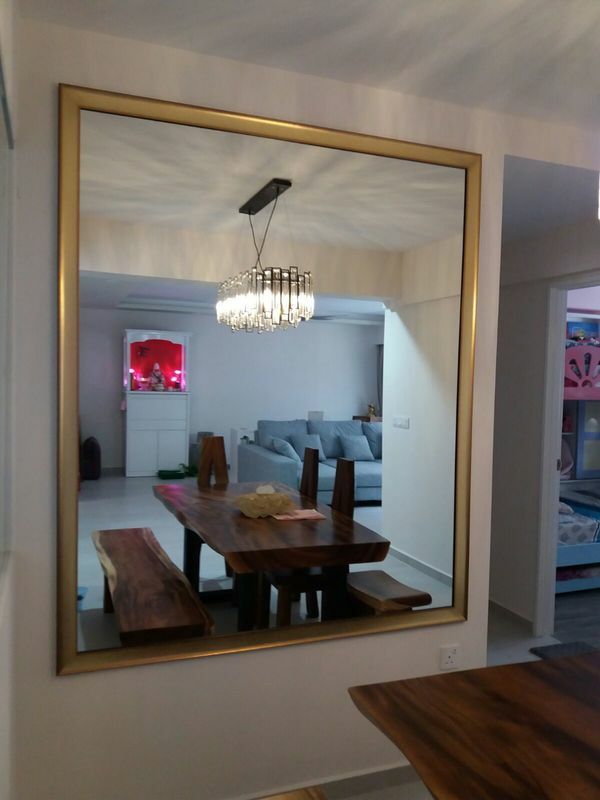 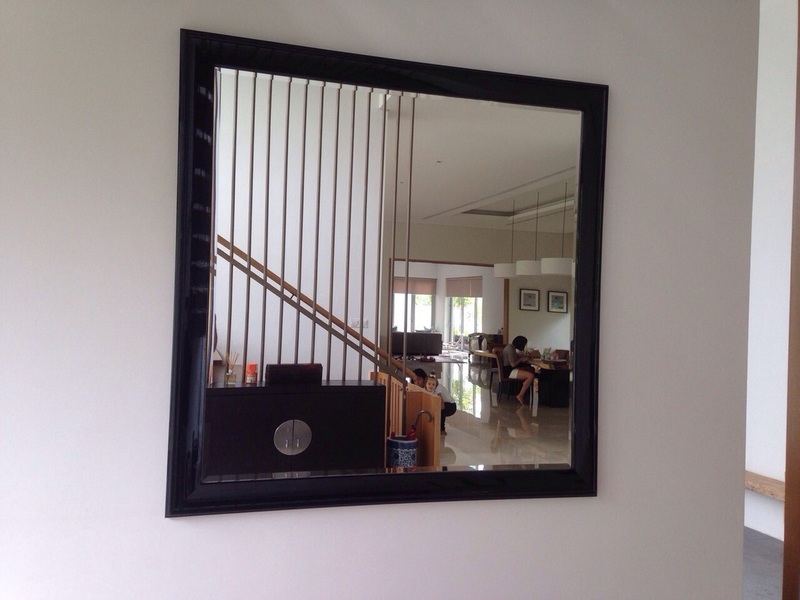 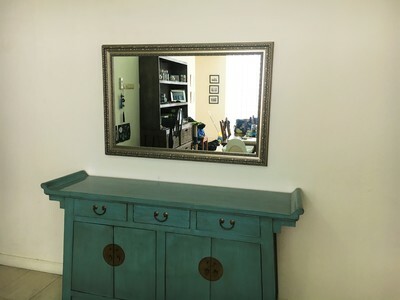 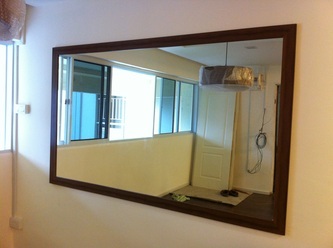 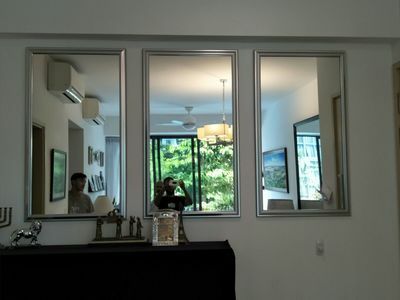 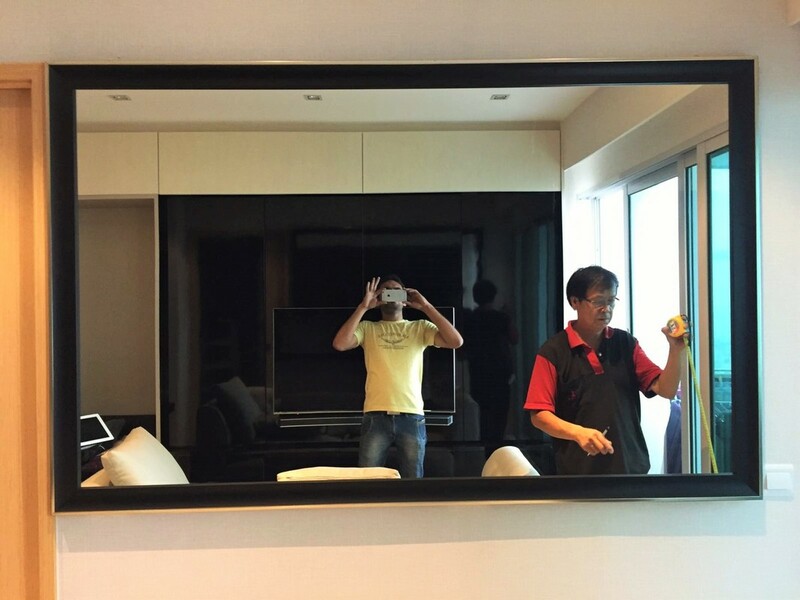 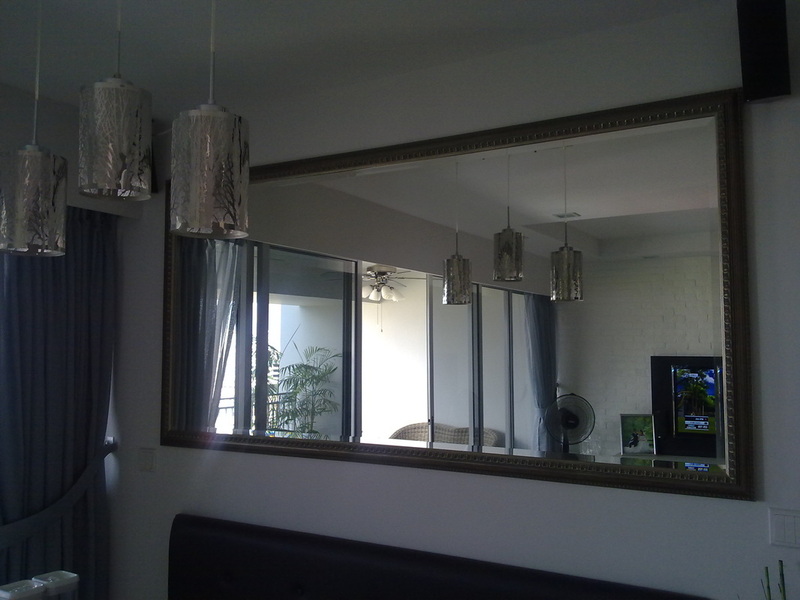 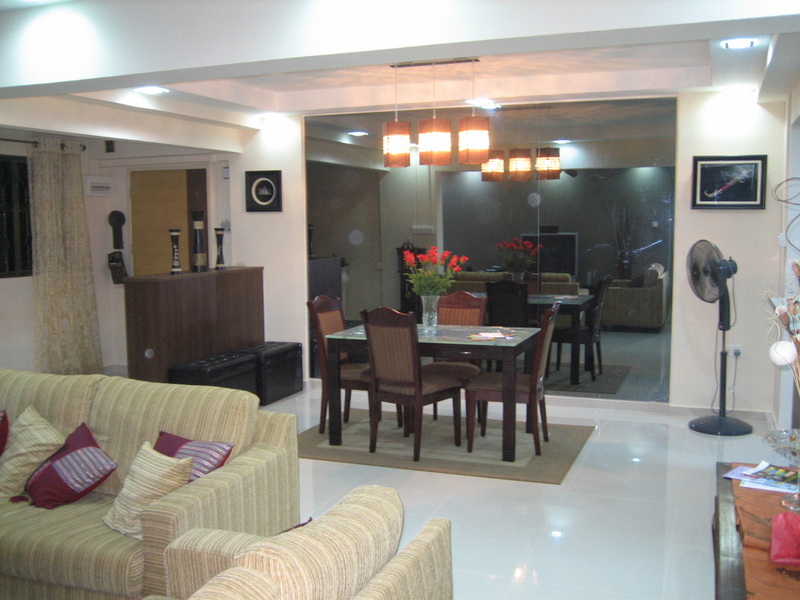 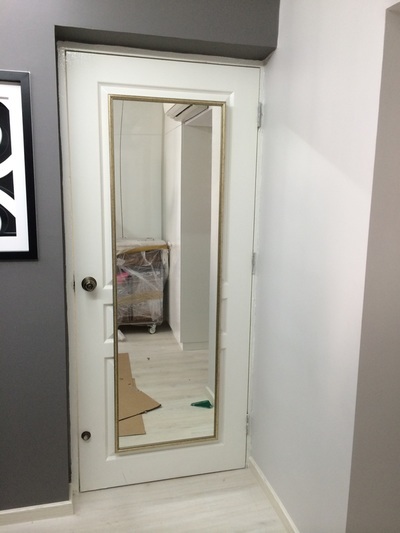 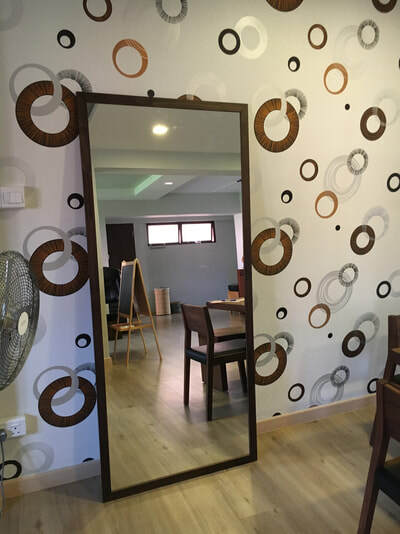 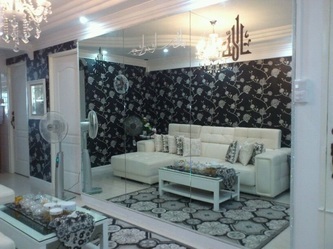 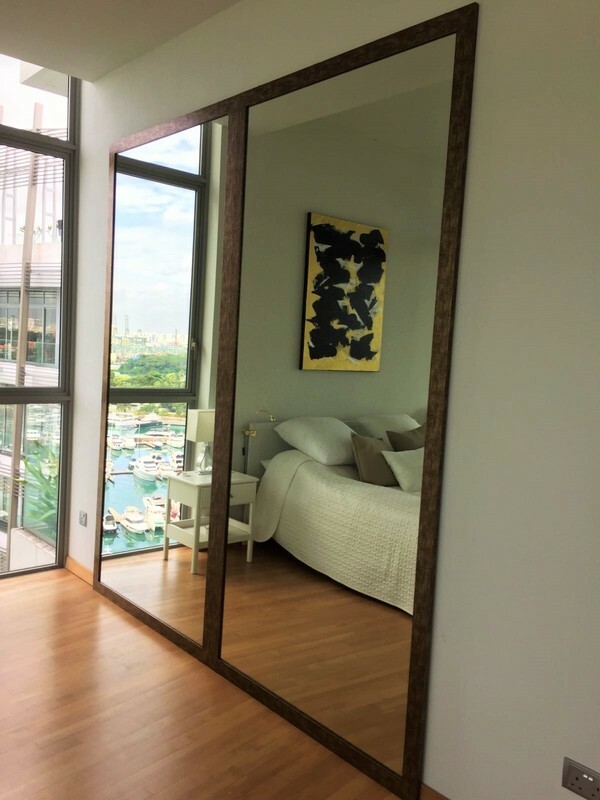 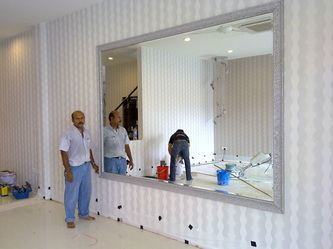 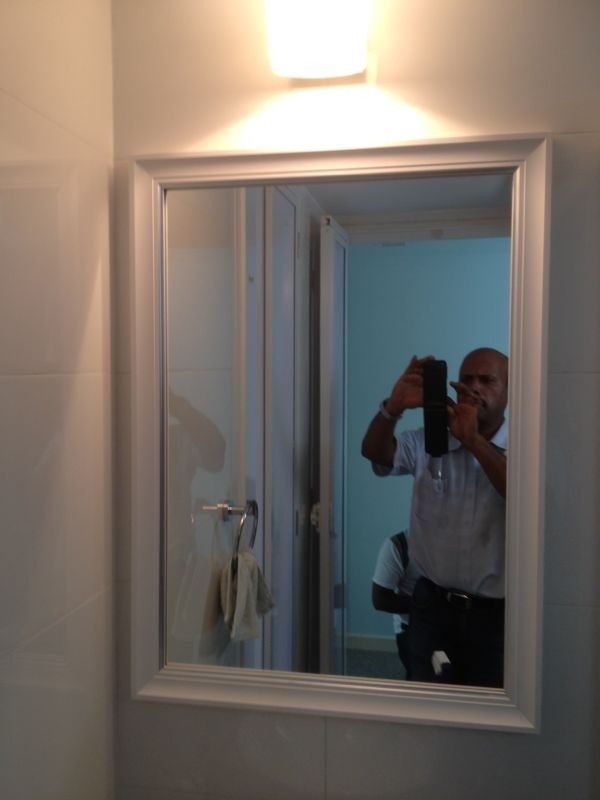 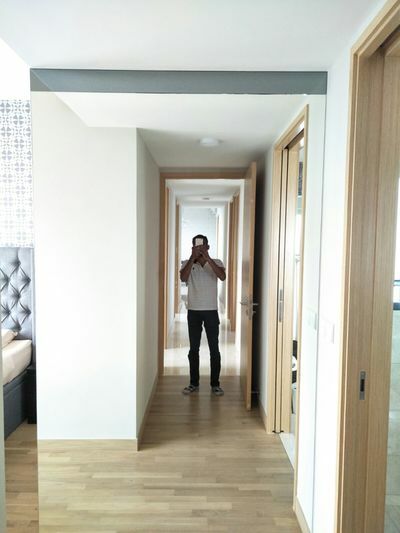 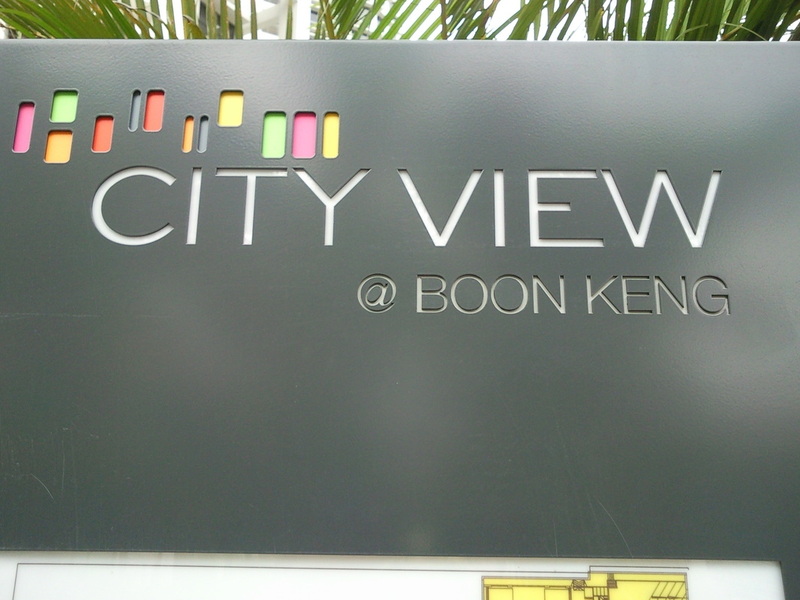 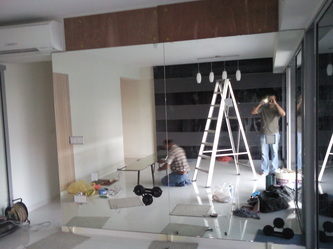 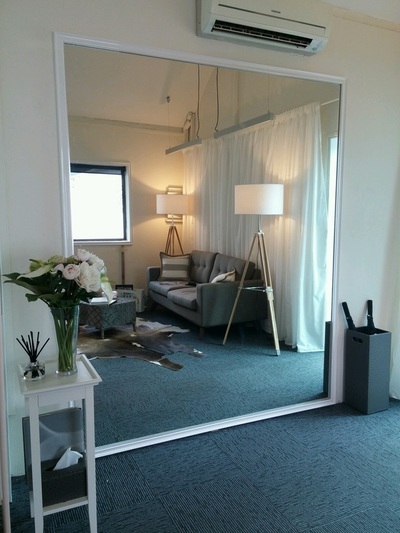 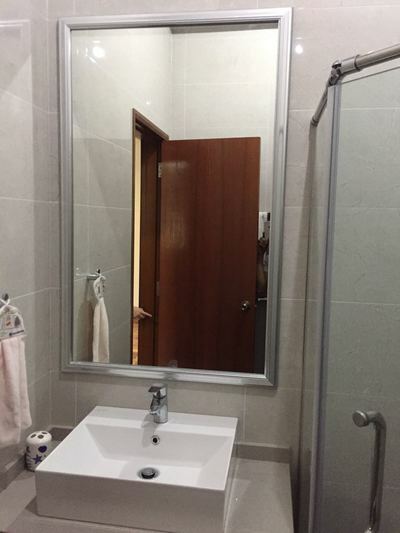 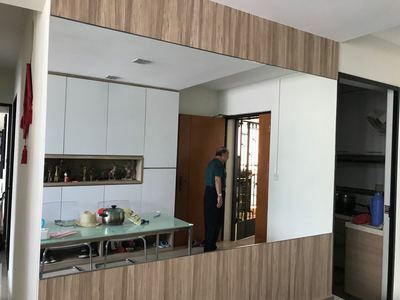 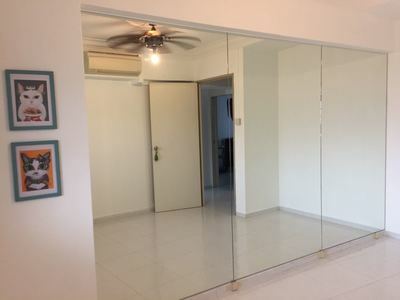 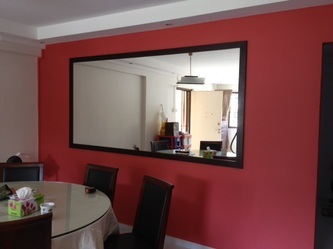 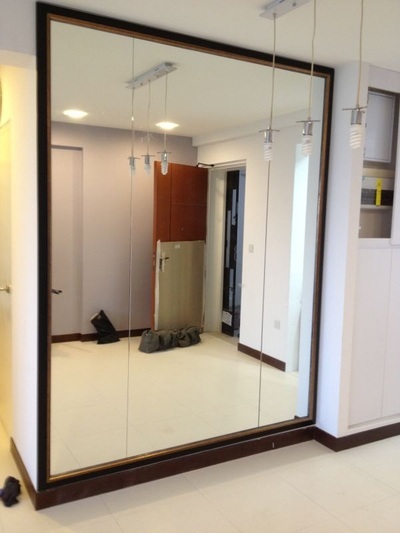 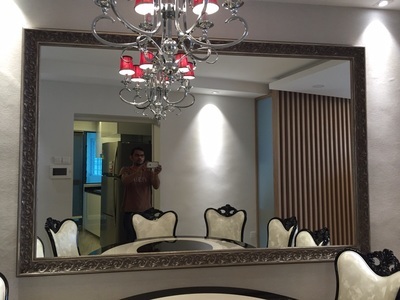 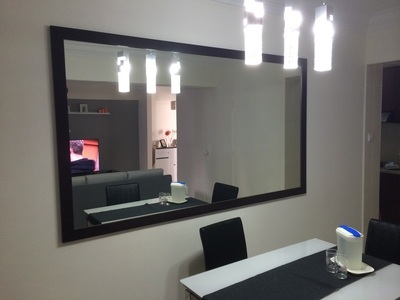 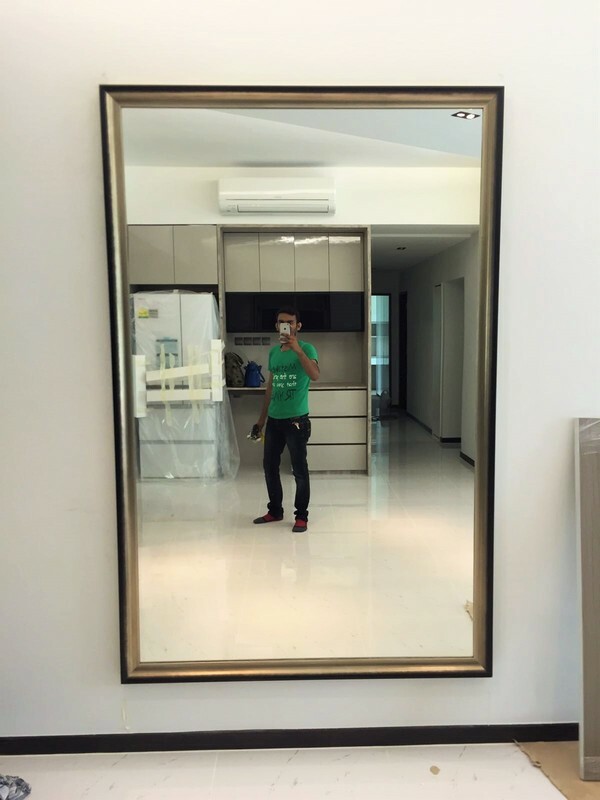 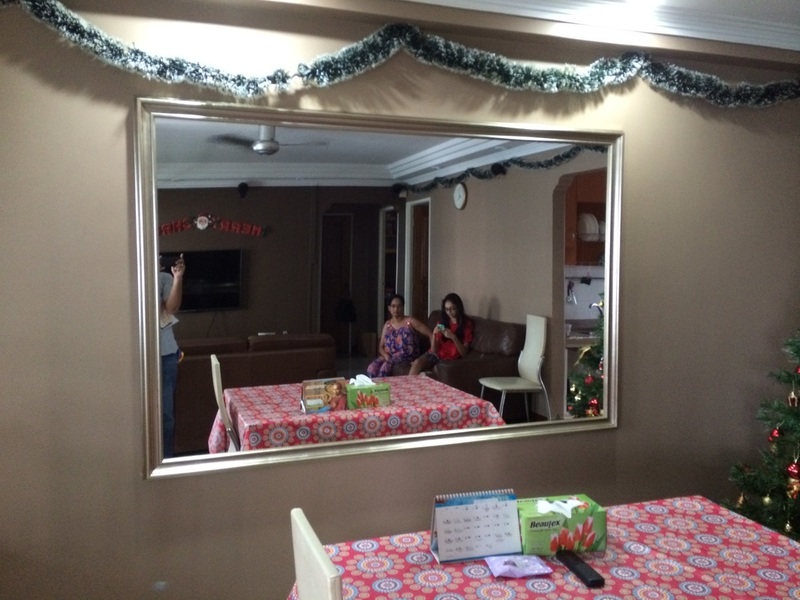 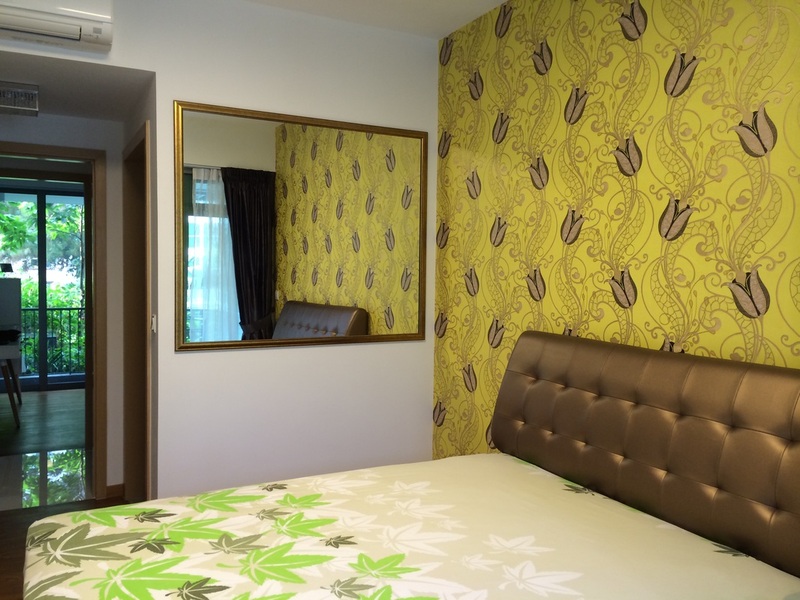 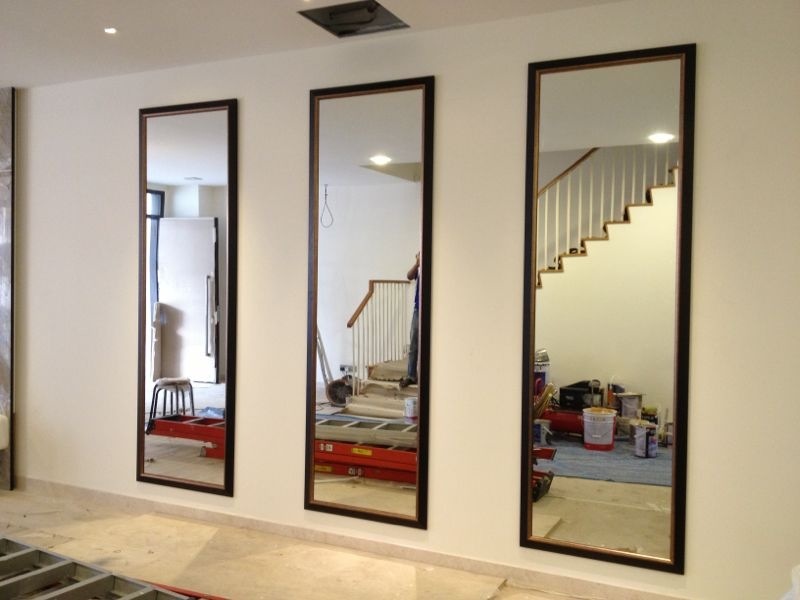 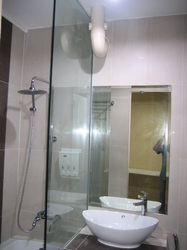 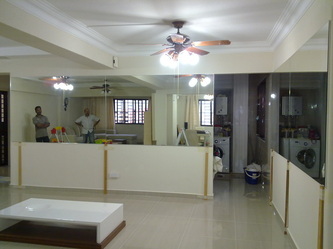 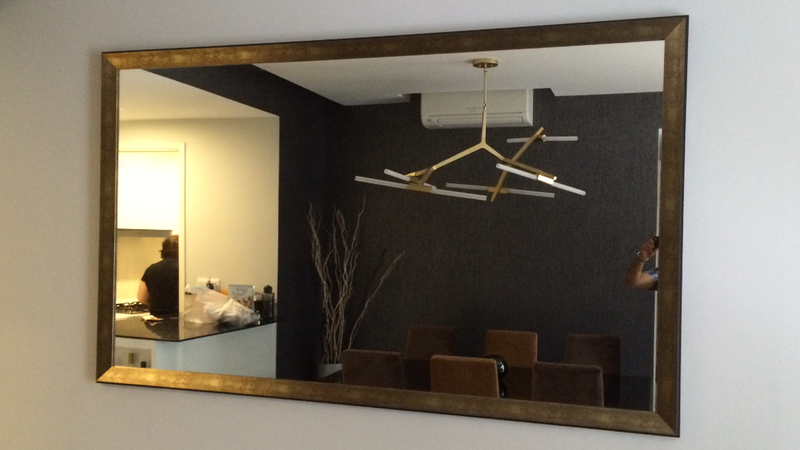 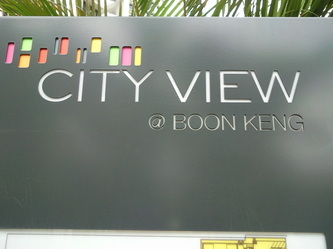 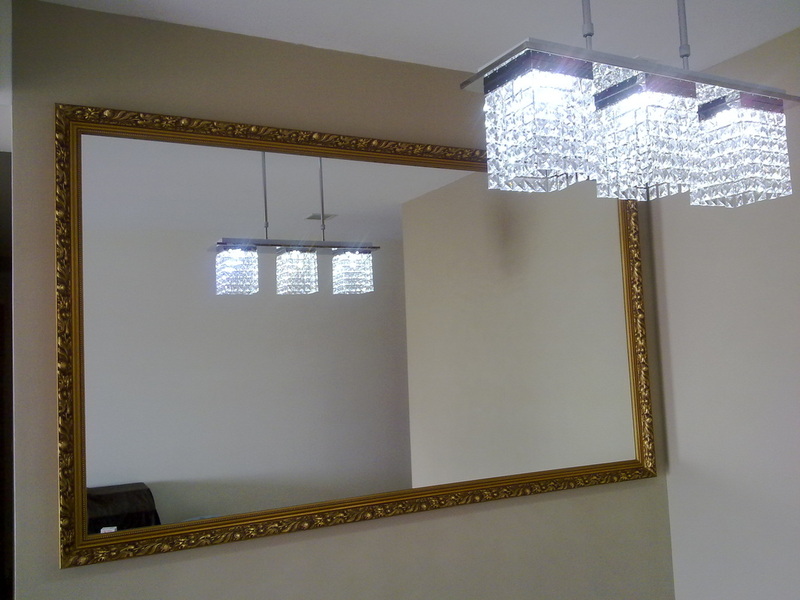 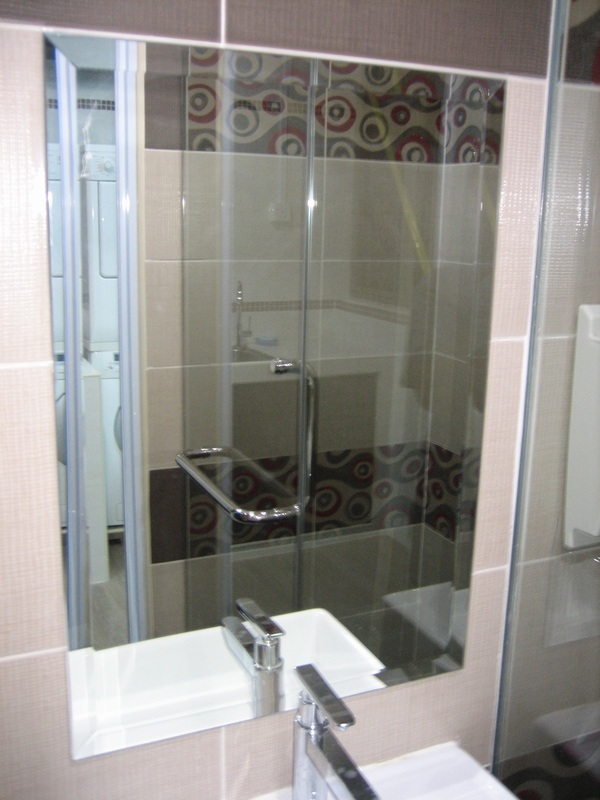 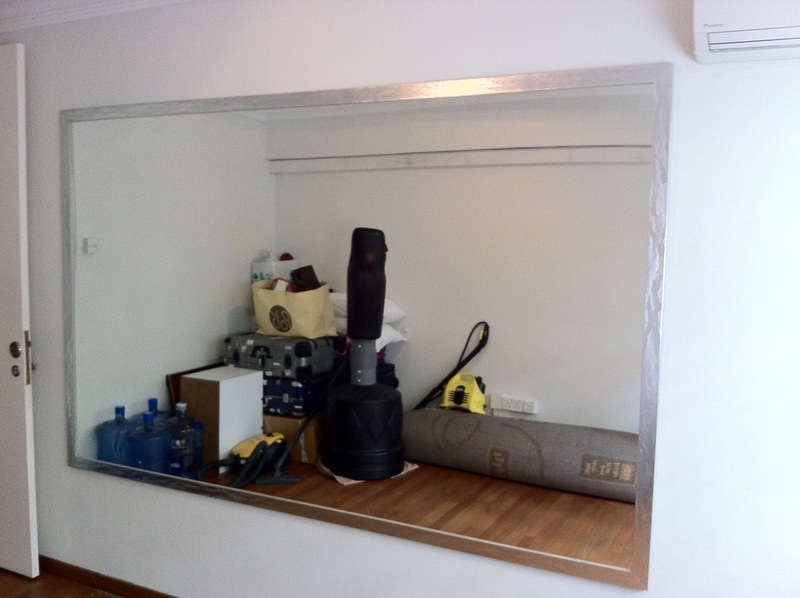 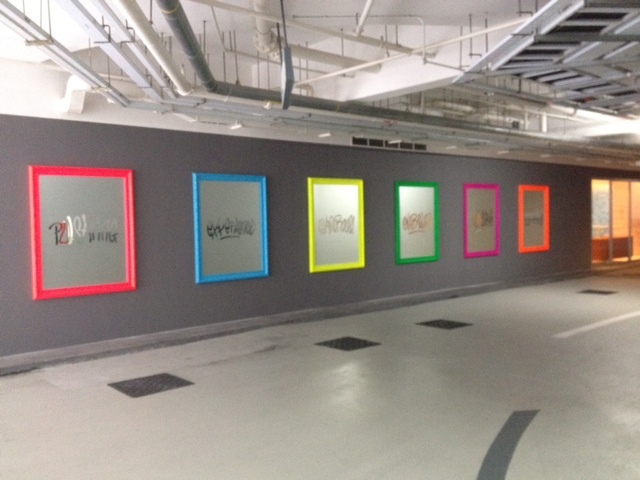 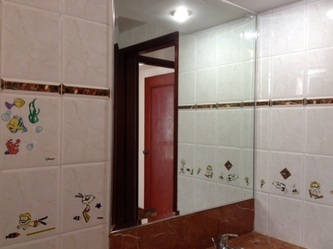 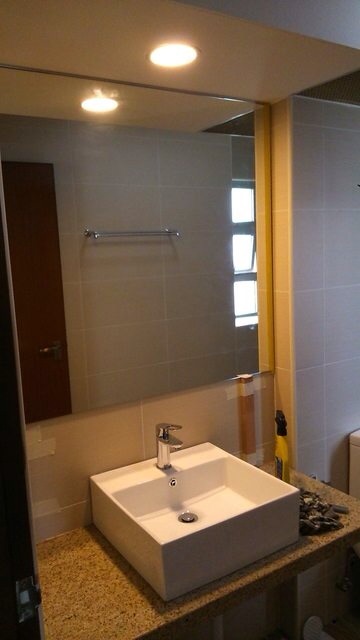 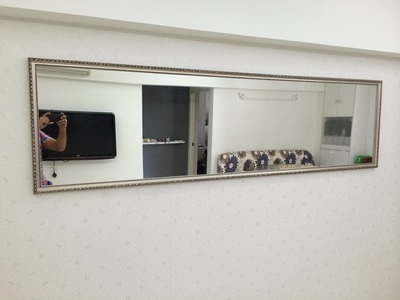 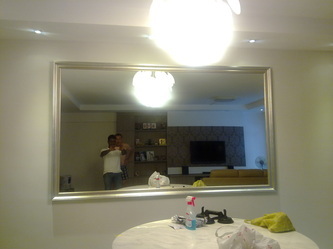 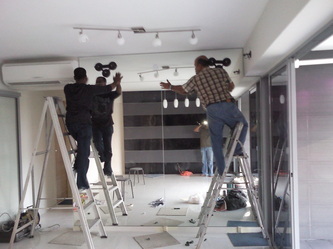 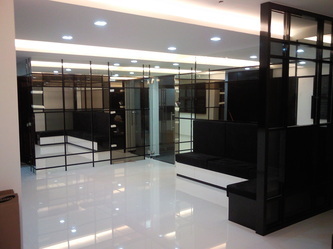 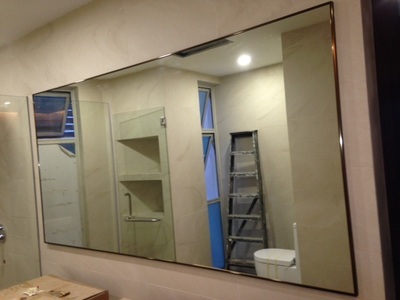 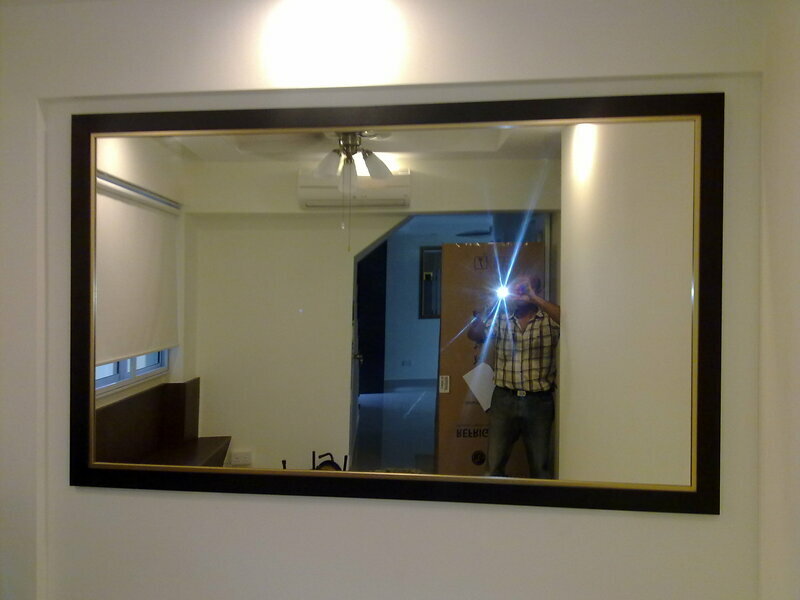 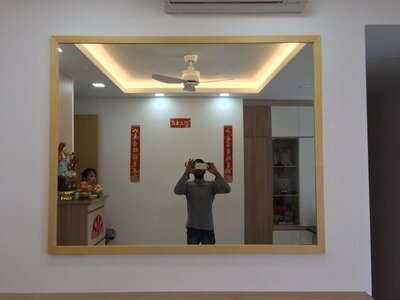 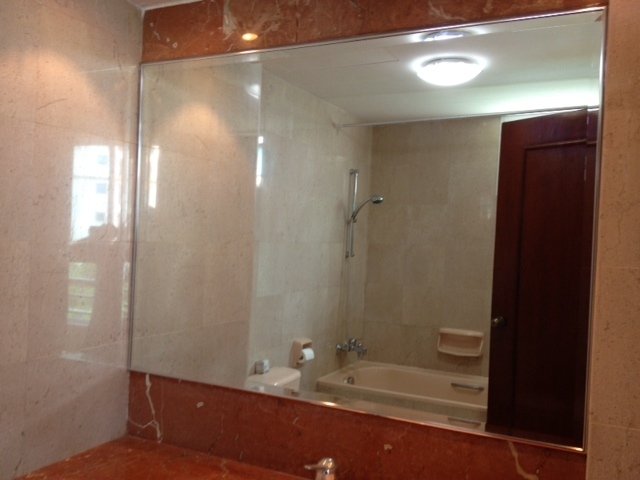 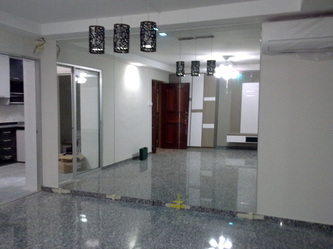 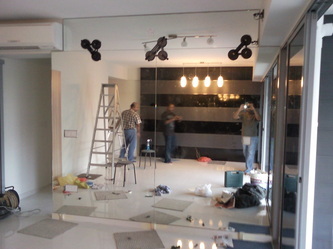 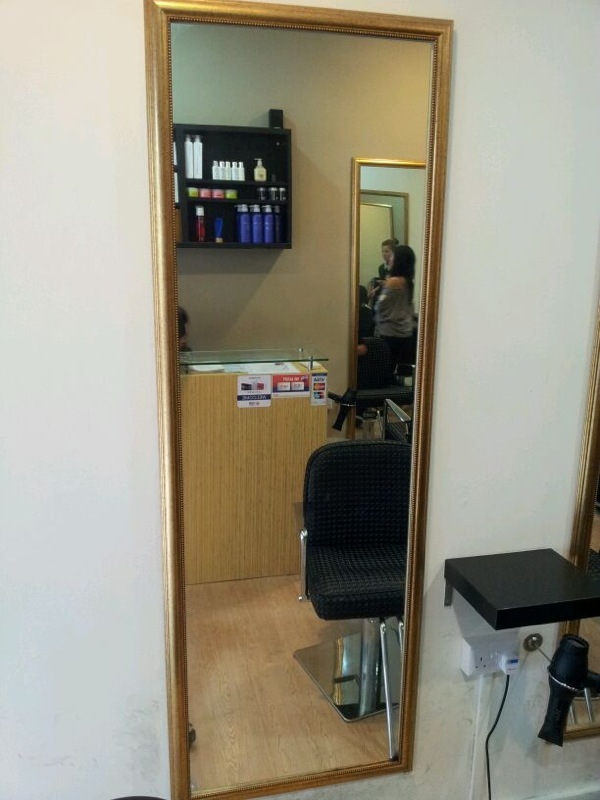 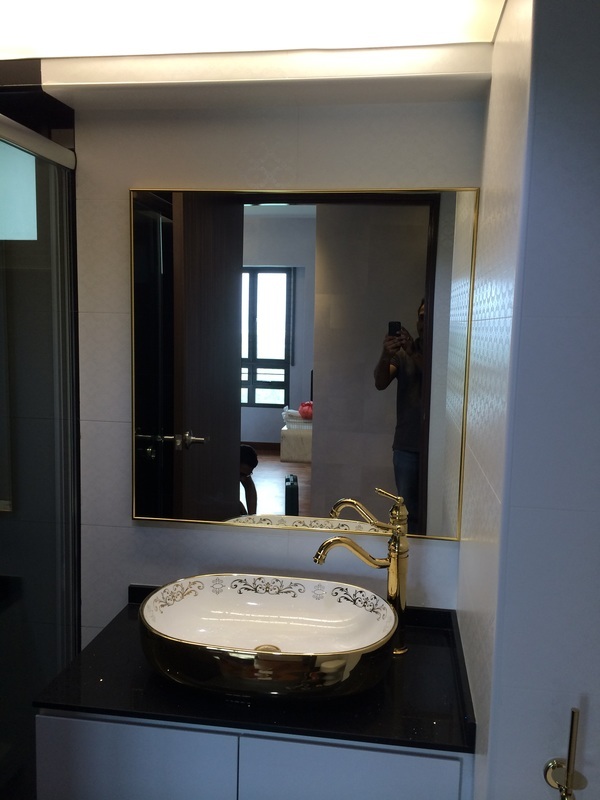 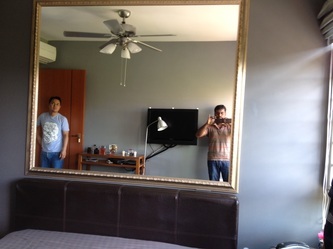 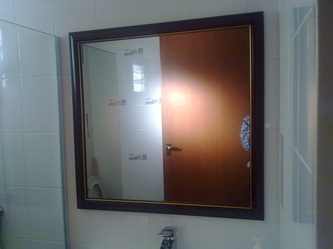 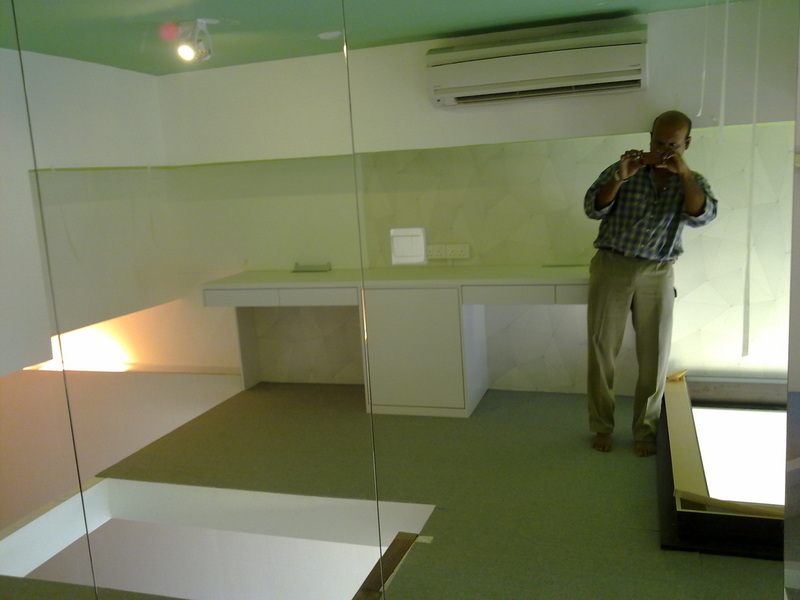 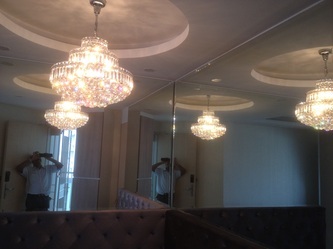 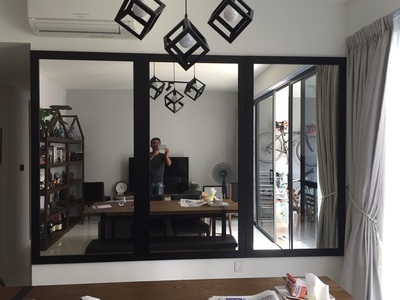 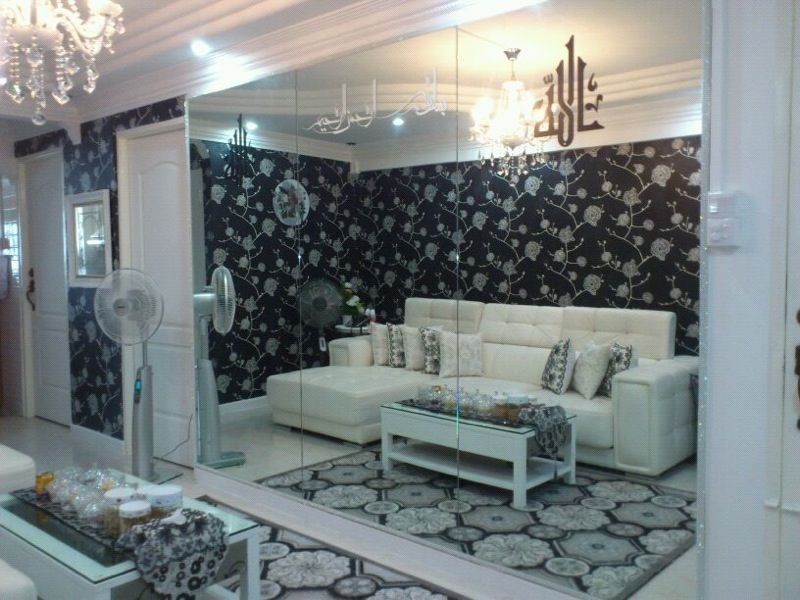 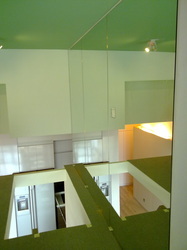 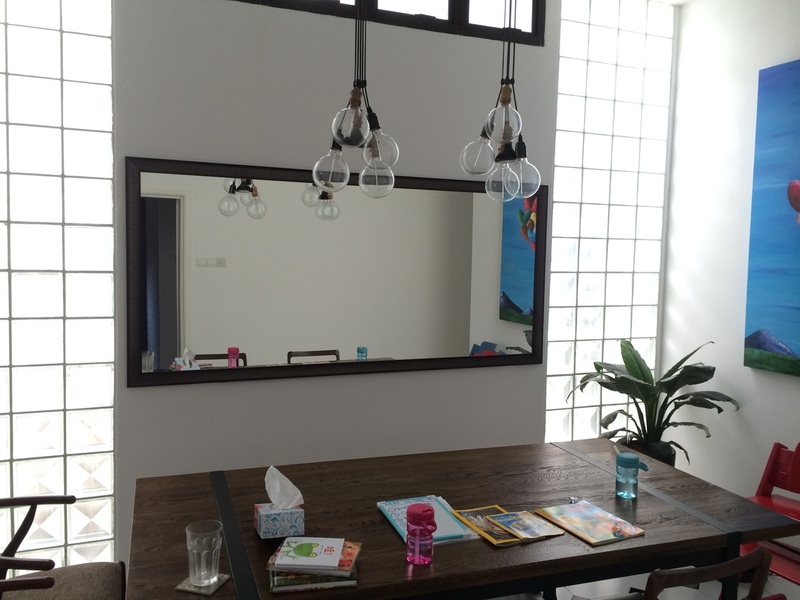 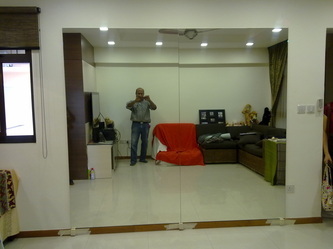 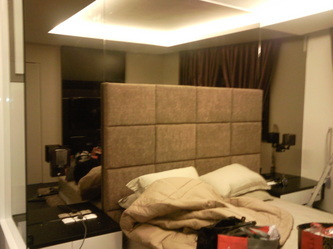 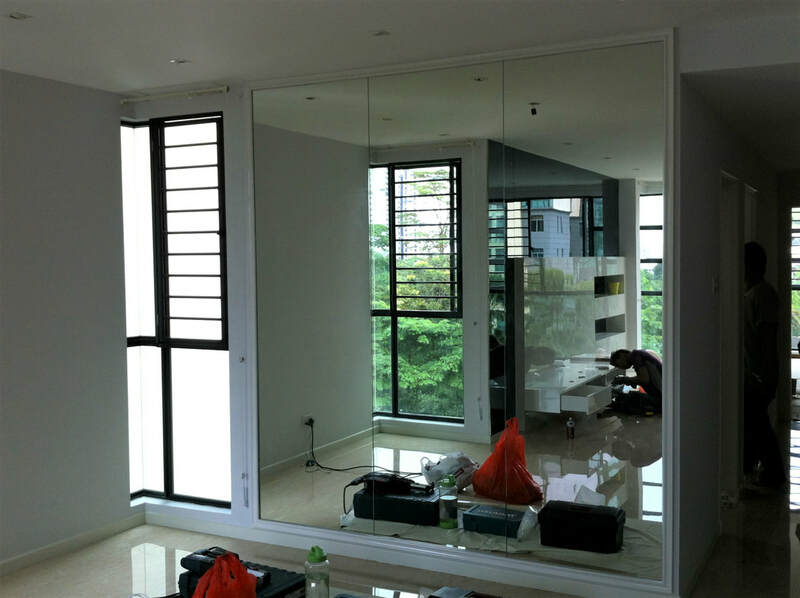 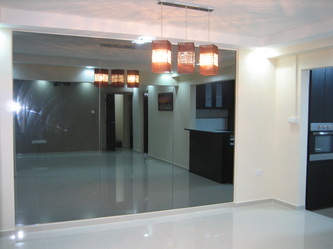 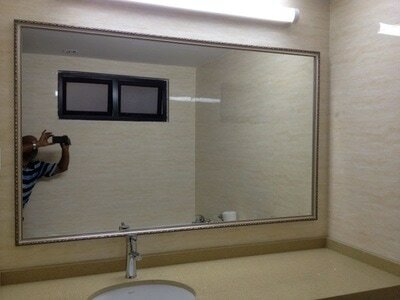 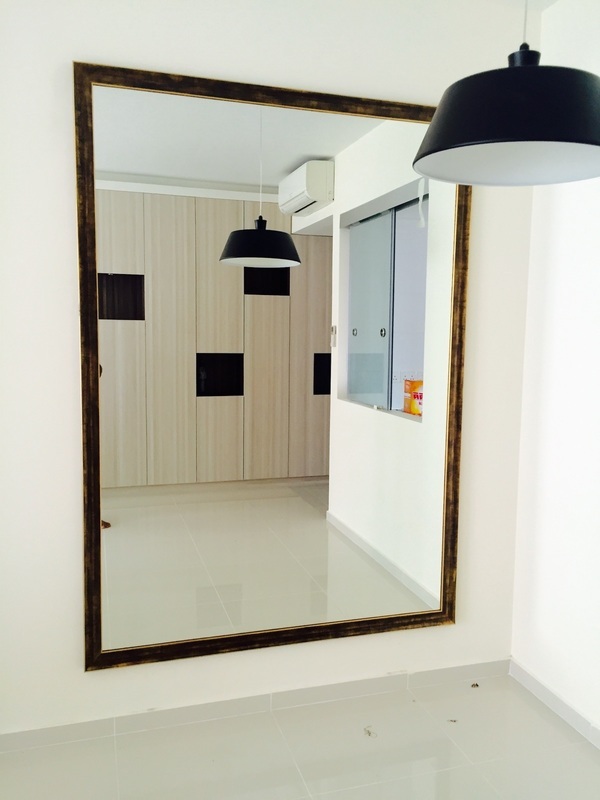 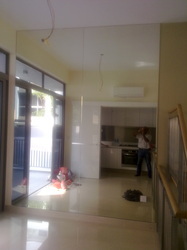 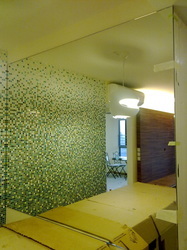 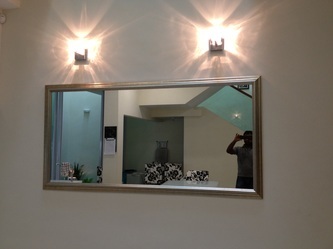 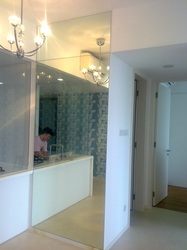 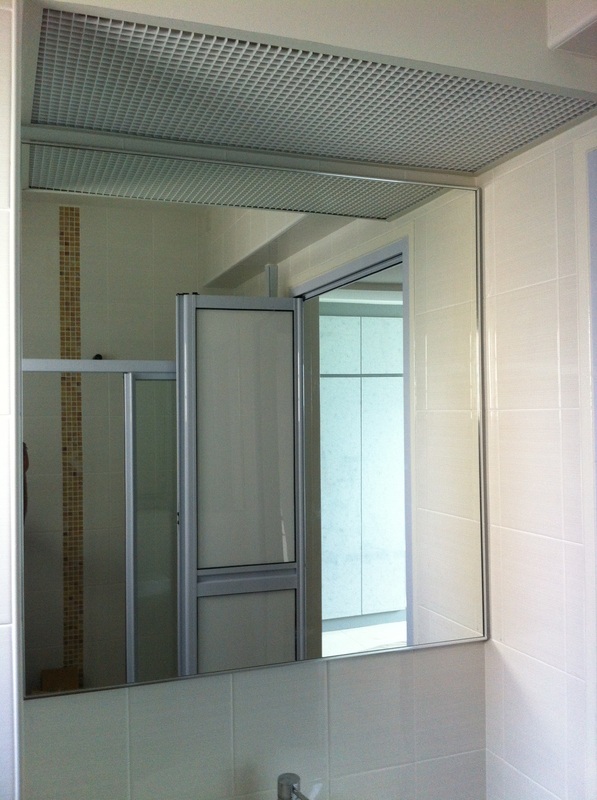 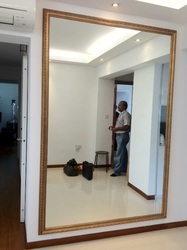 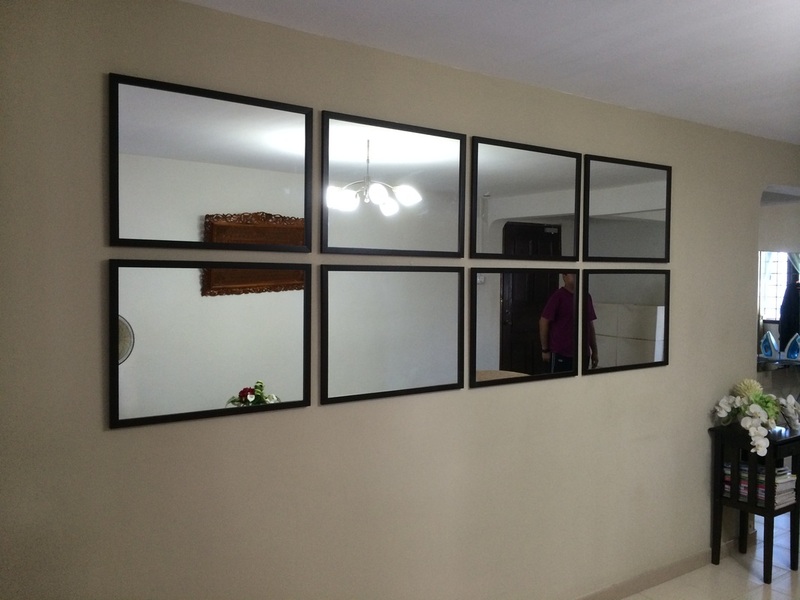 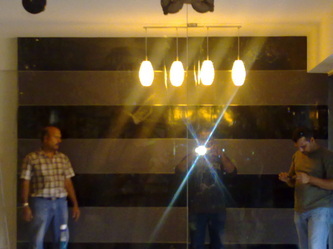 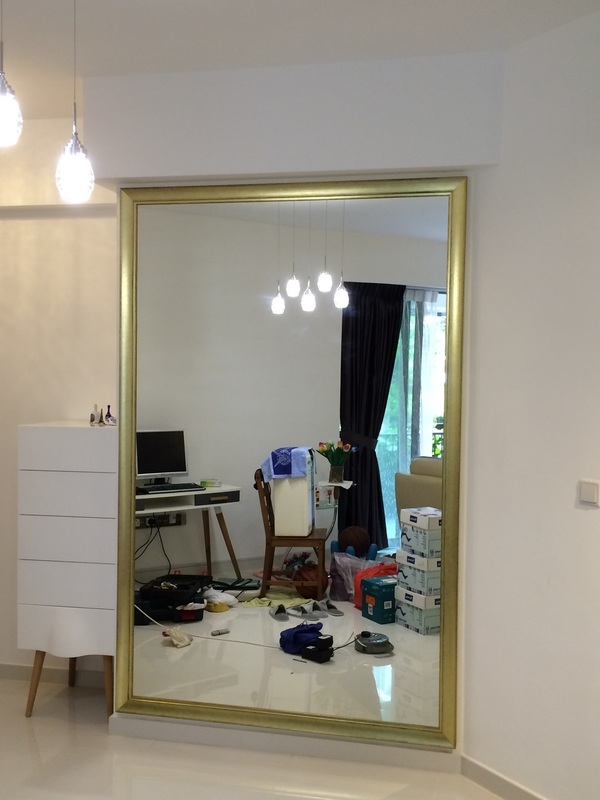 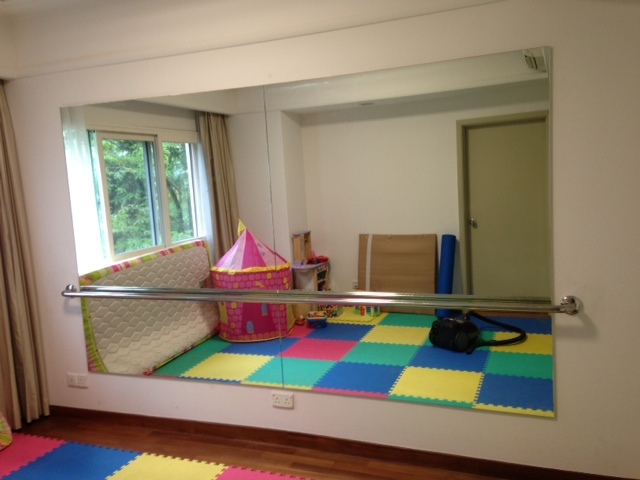 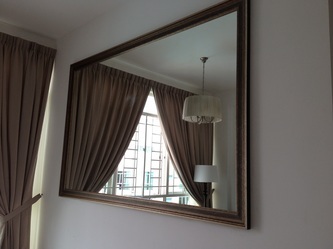 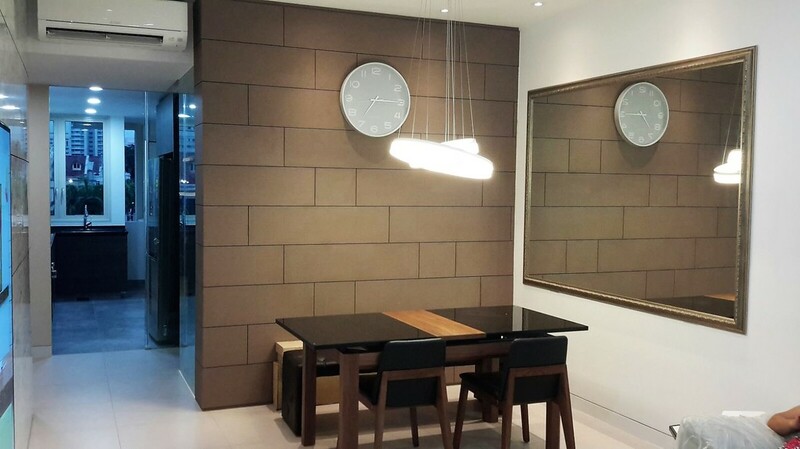 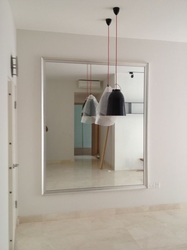 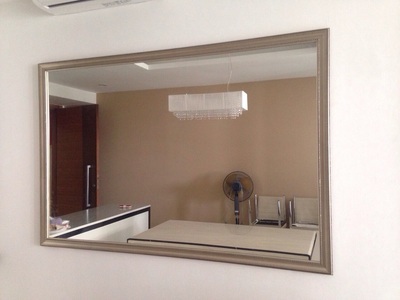 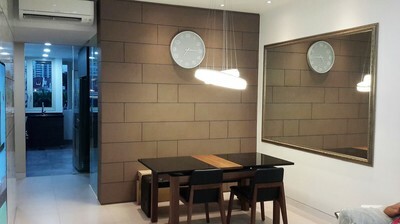 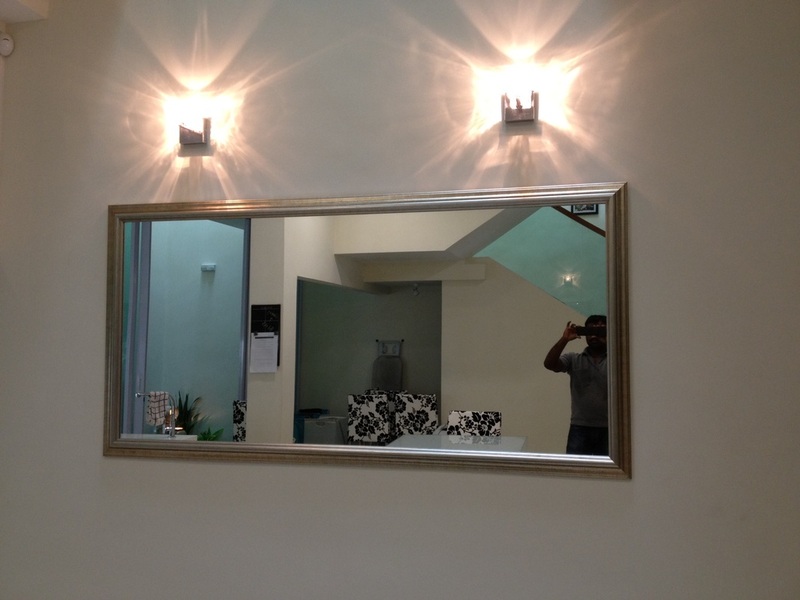 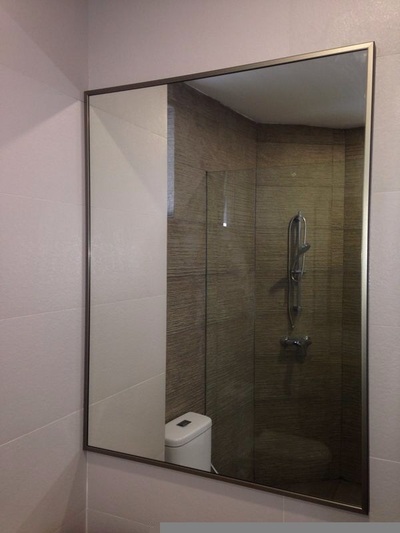 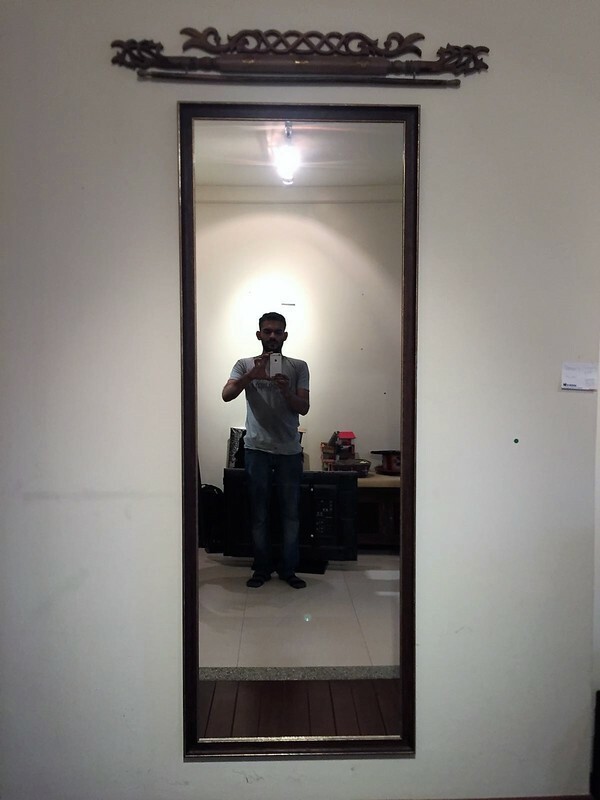 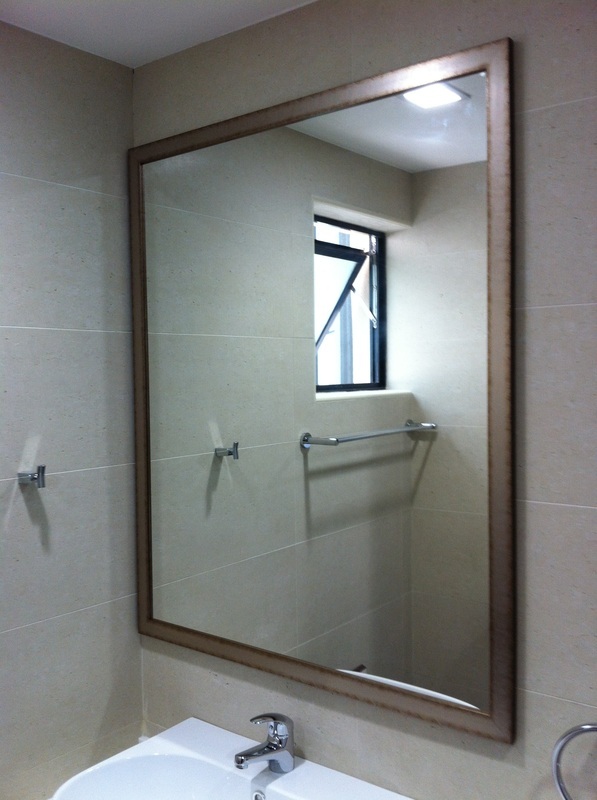 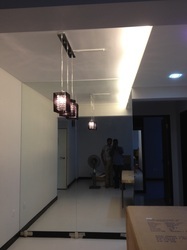 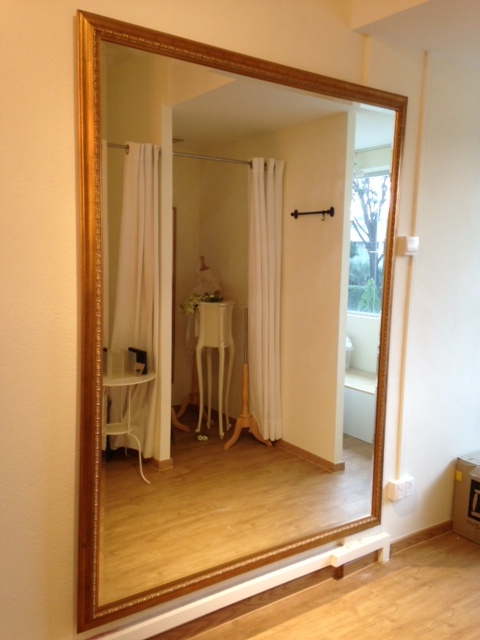 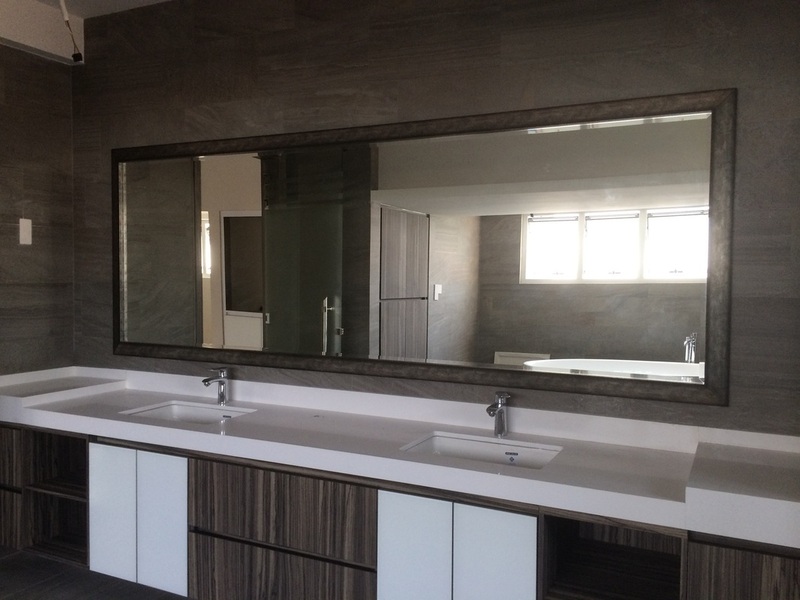 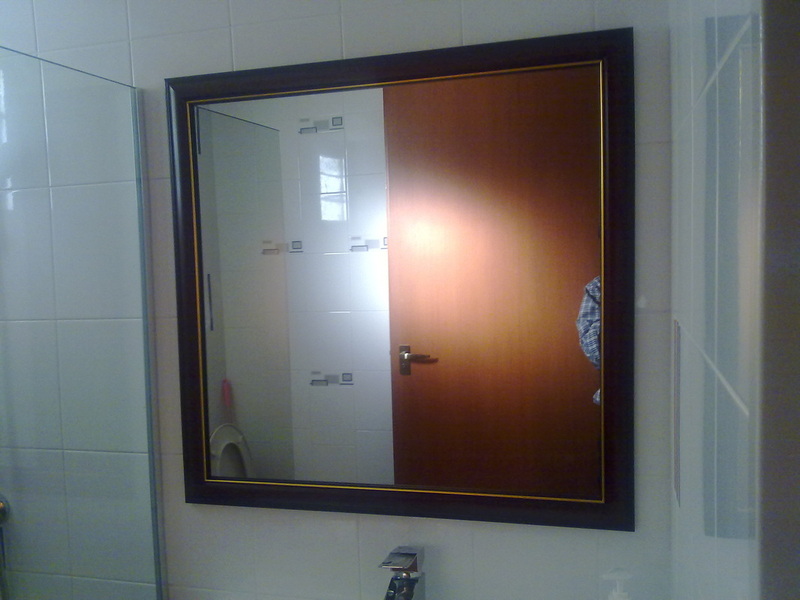 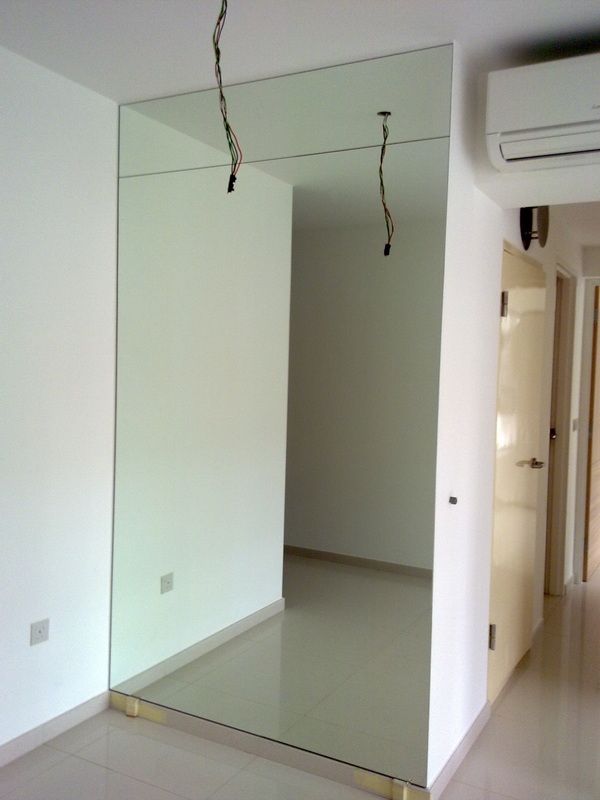 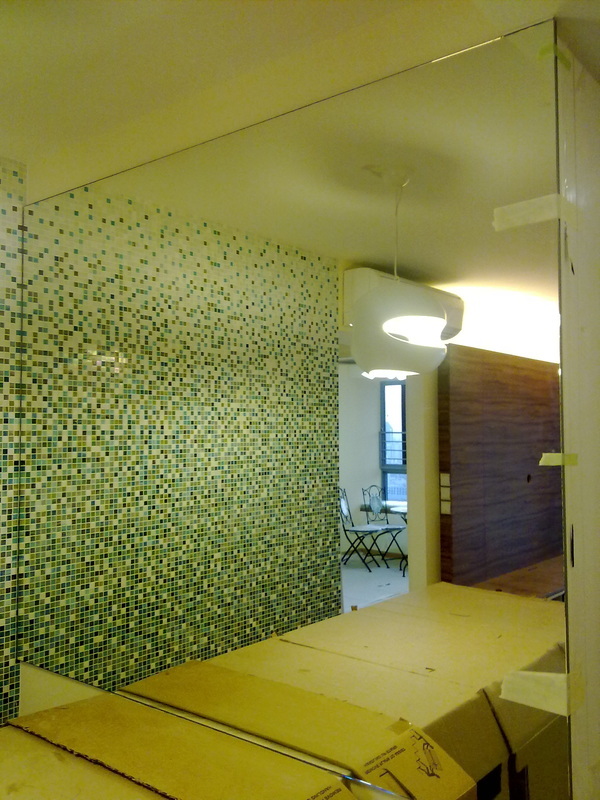 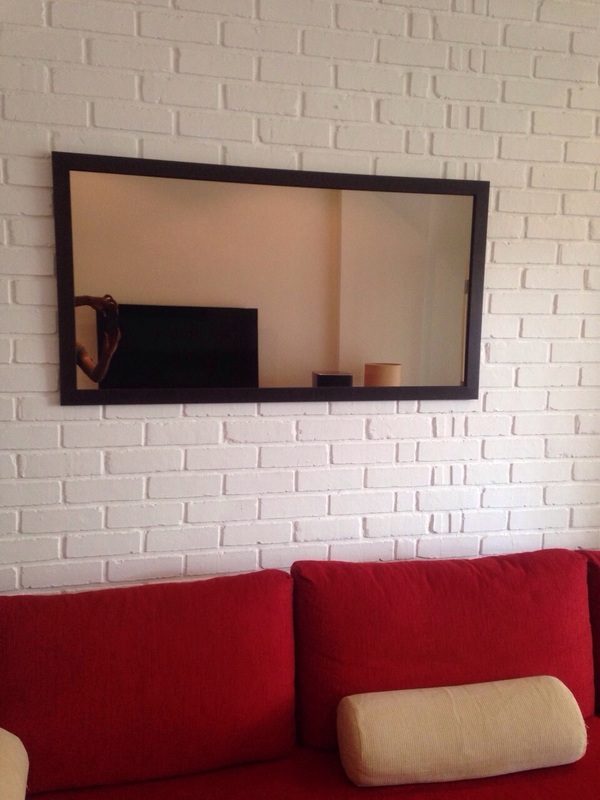 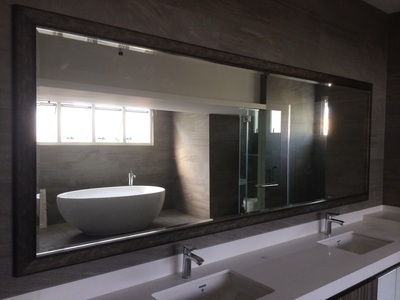 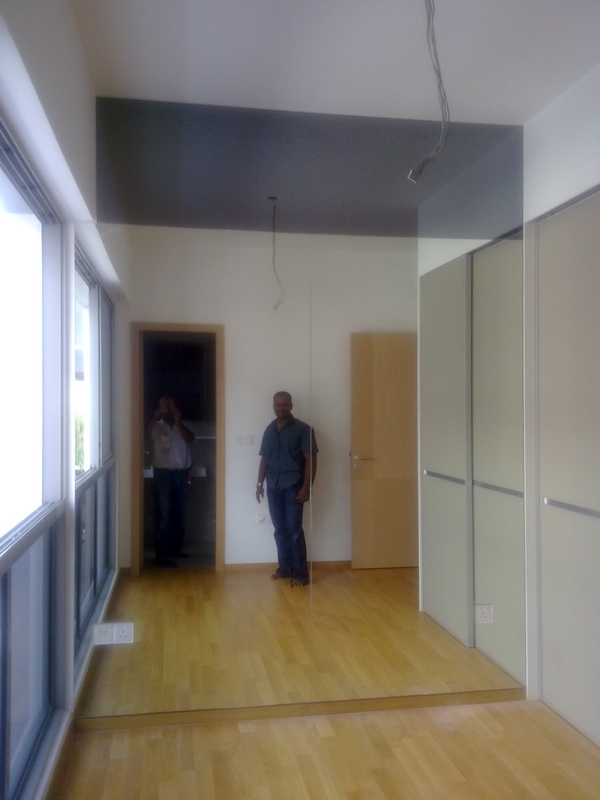 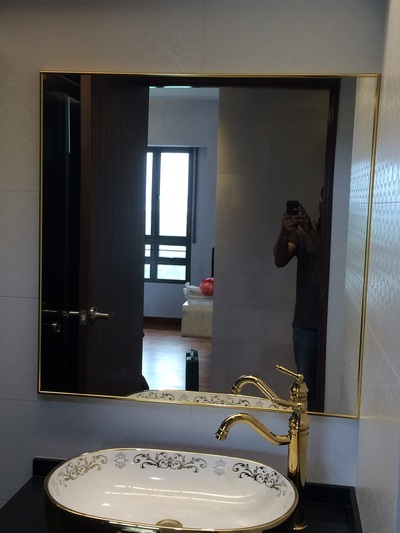 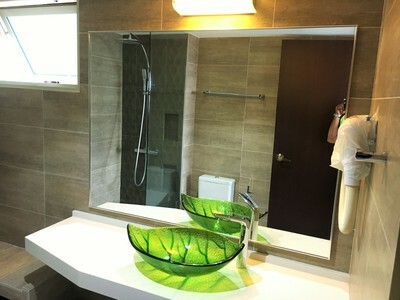 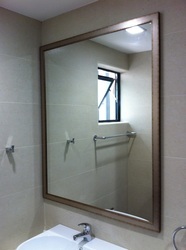 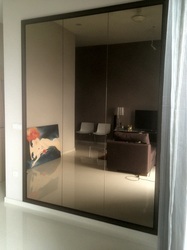 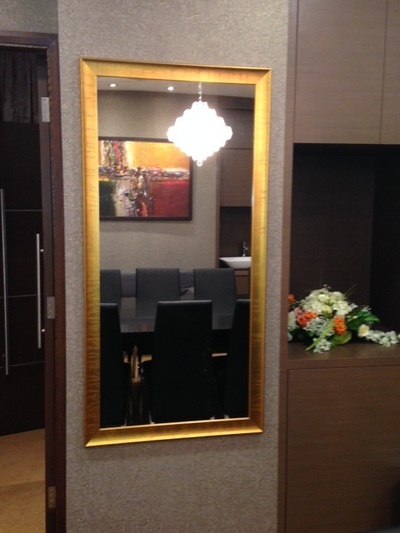 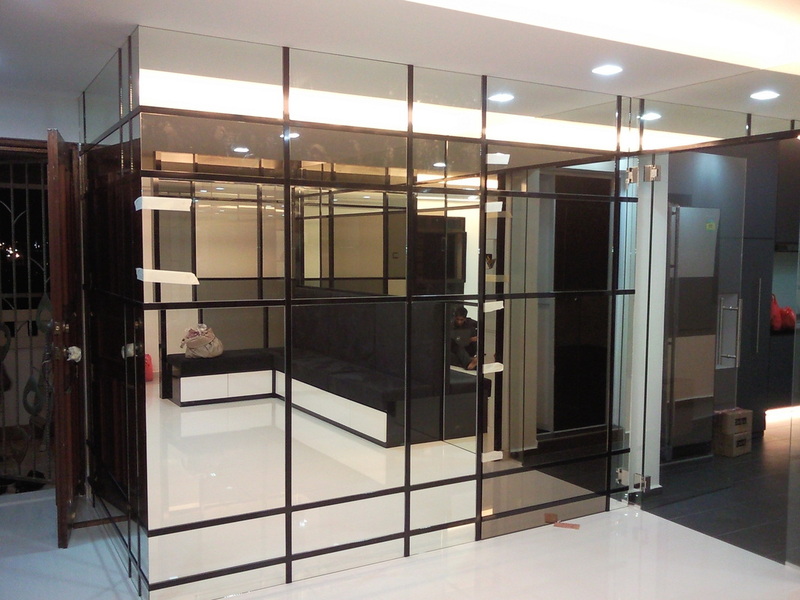 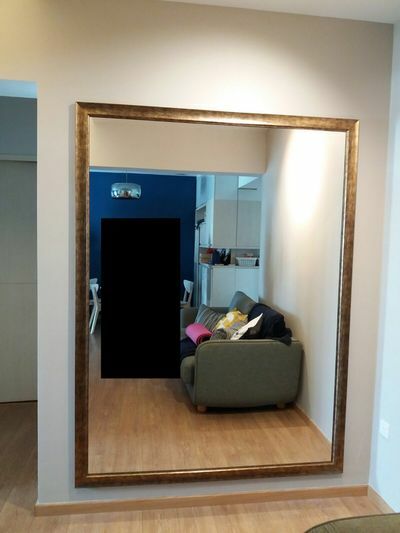 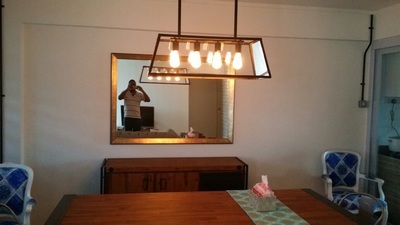 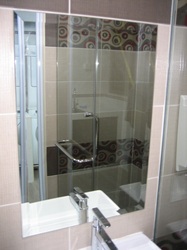 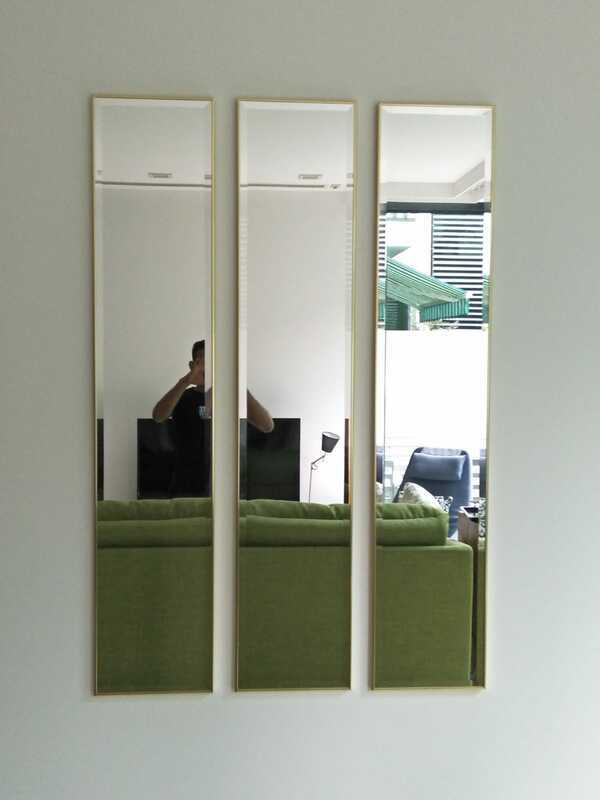 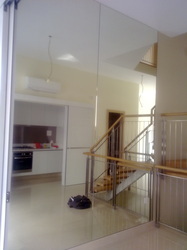 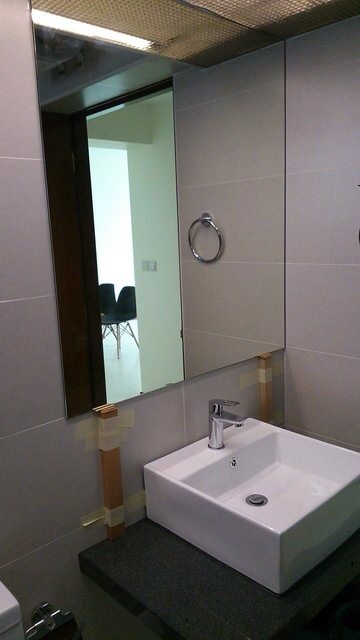 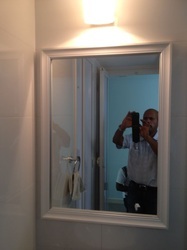 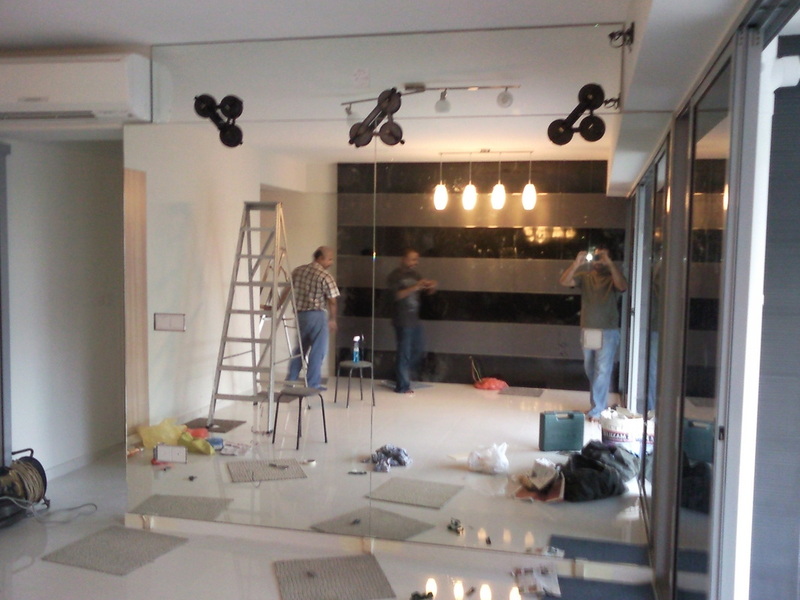 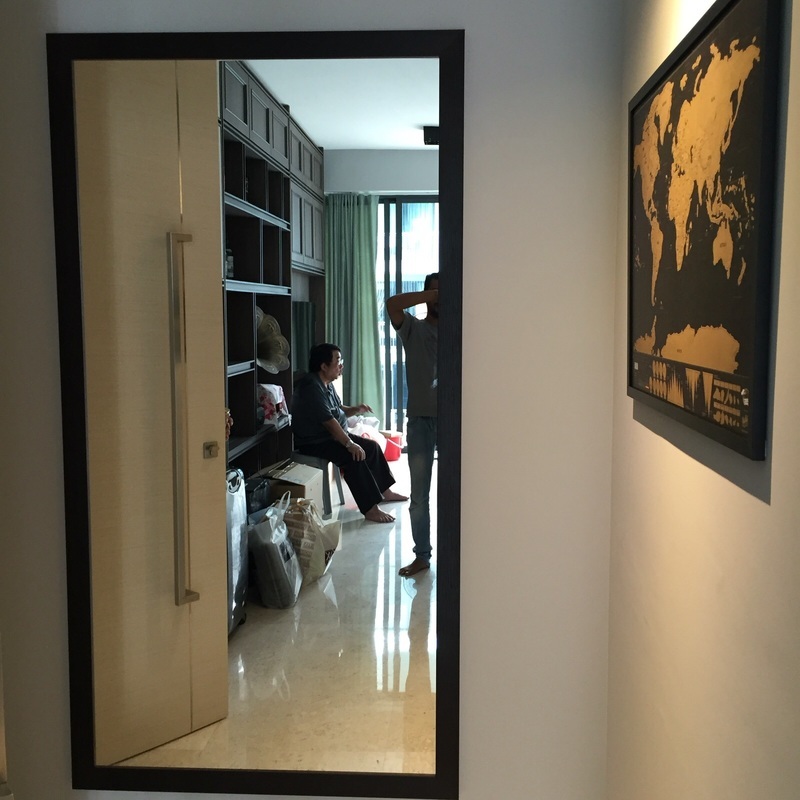 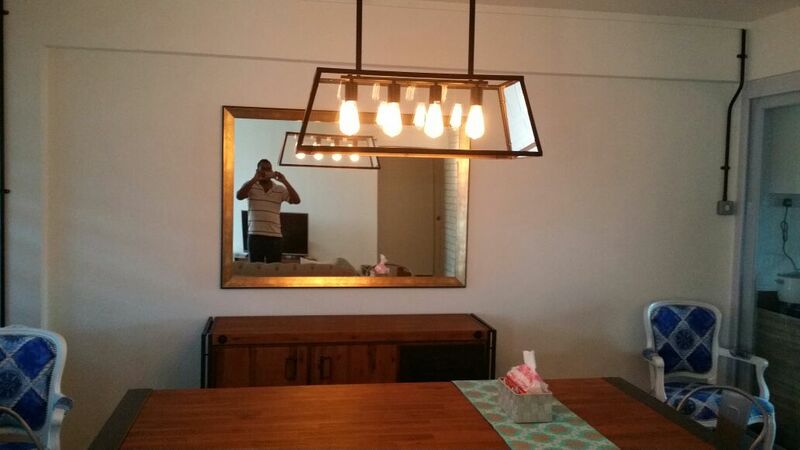 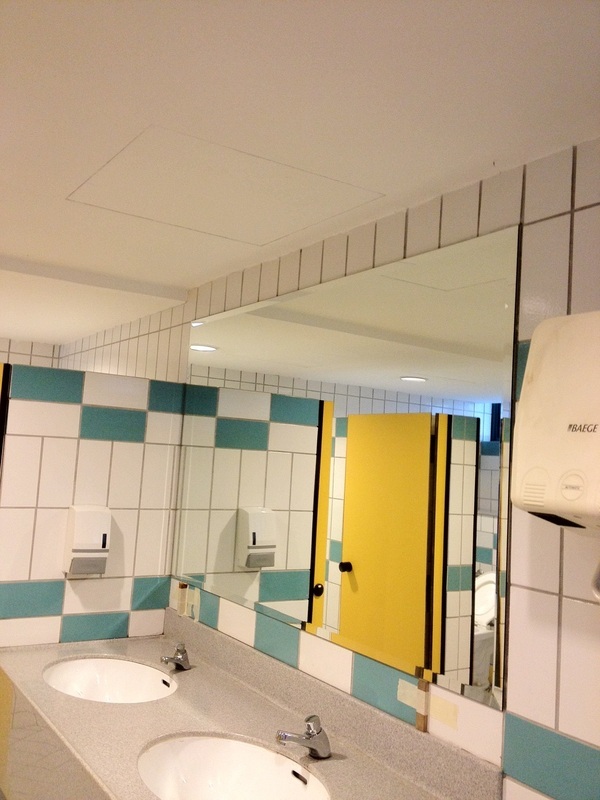 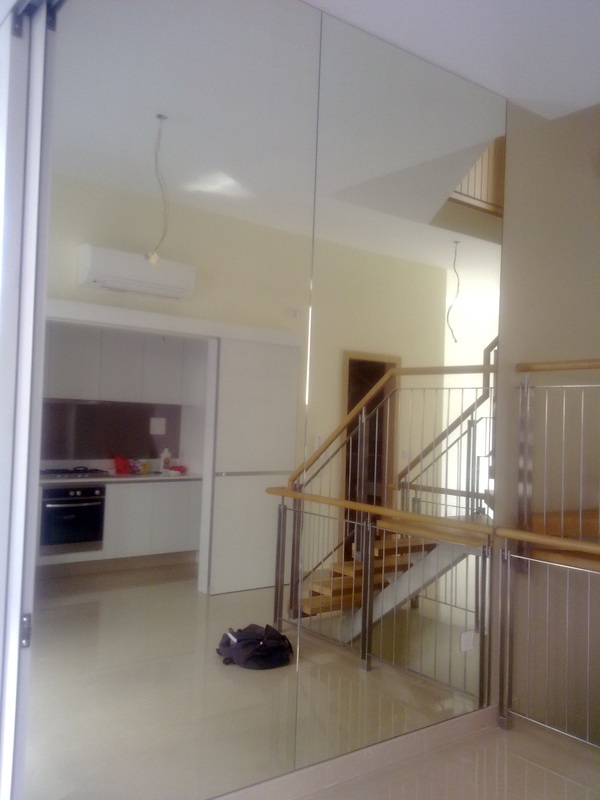 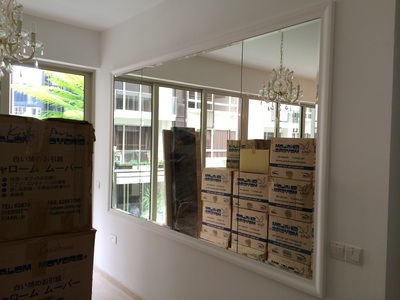 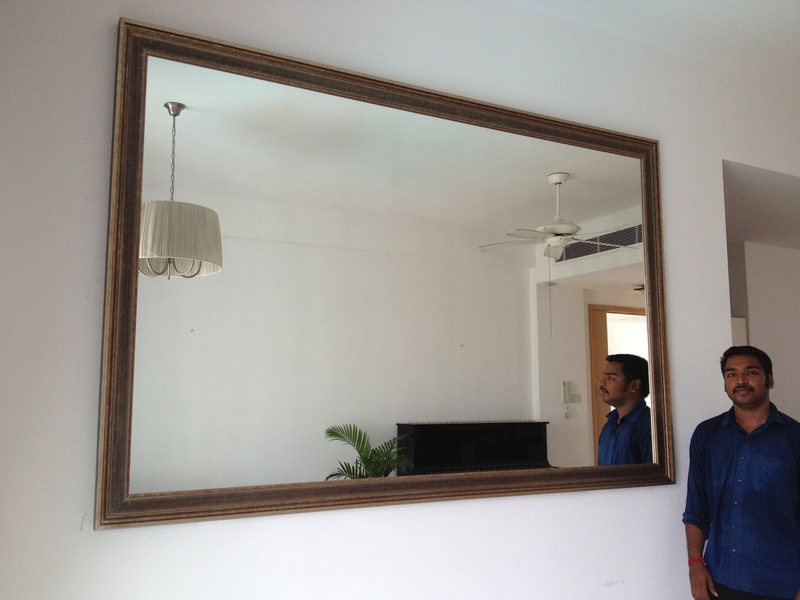 Custom-Made Mirrors Cut To Desired Size and Installation Services for residential flat in Sengkang. 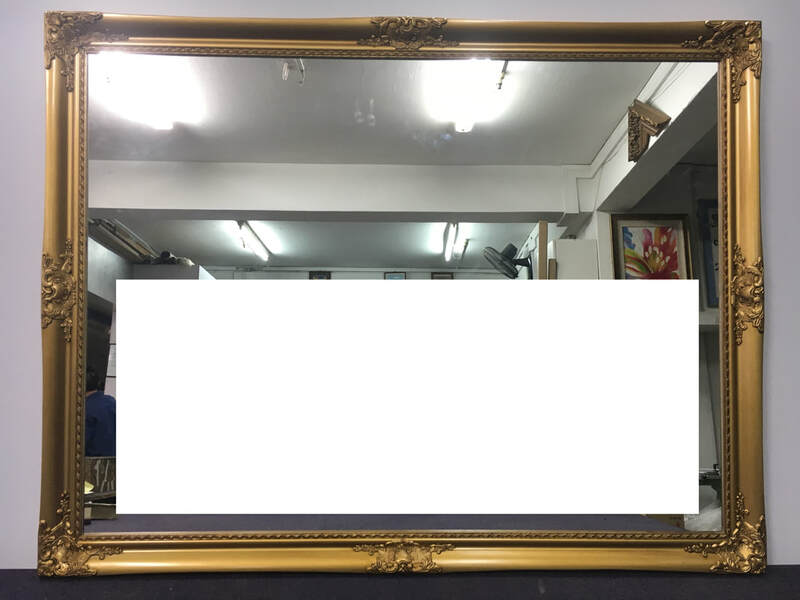 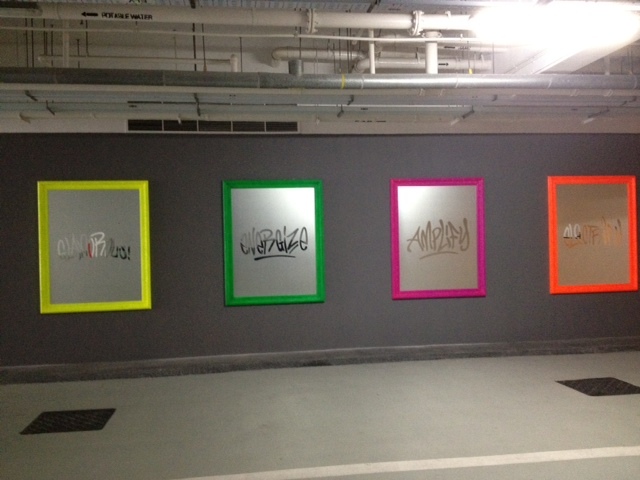 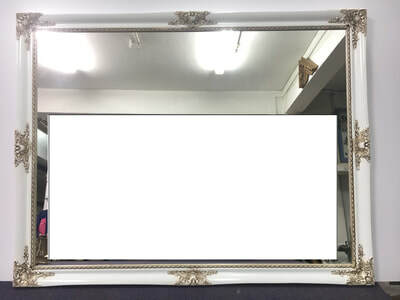 Grey-Tinted Mirrors, 3 panels. We specialized in all types of high-quality Framed mirrors to be used in living room, gyms room, yoga studios, and dance centers. We custom any size. 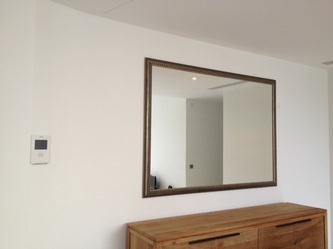 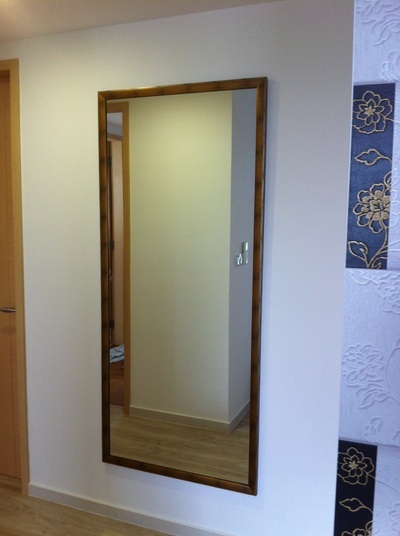 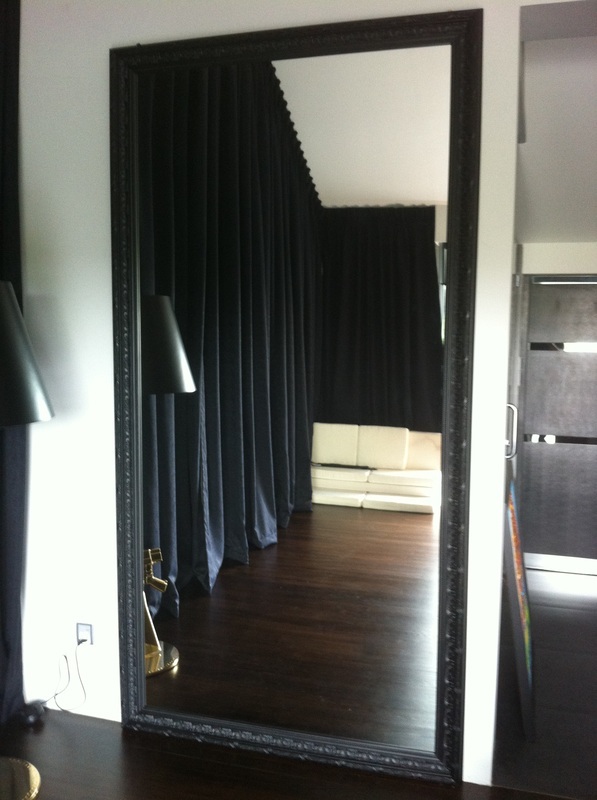 you can find all sizes of wall mirrors in different widths and height. 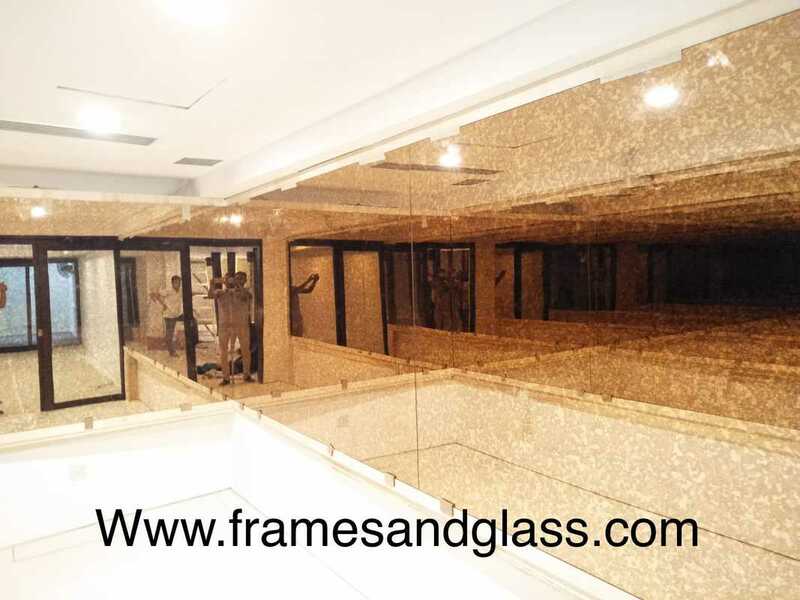 Mirror type: Clear Mirror, Extra Clear Mirror, Bronze Mirror, Grey Mirror, Black Mirror, Golden Bronze Mirror, Pink Mirror, Gold Mirror etc. 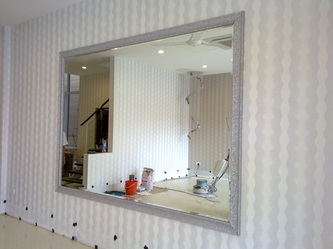 We can custom make any size.